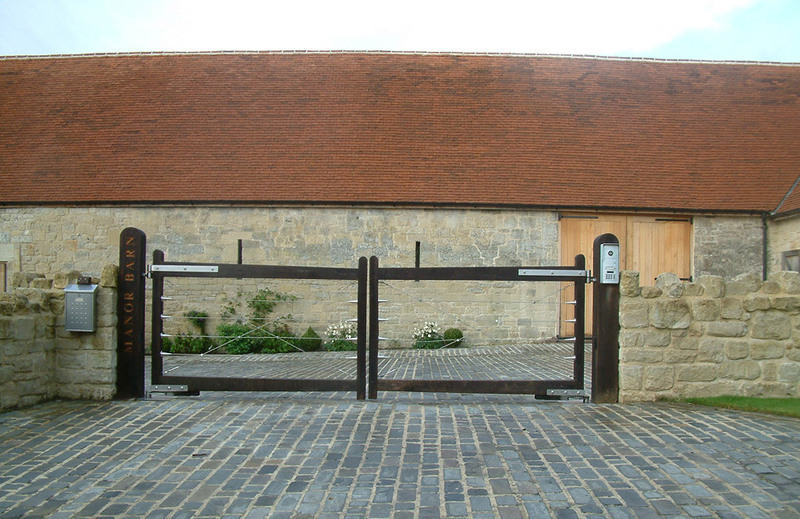 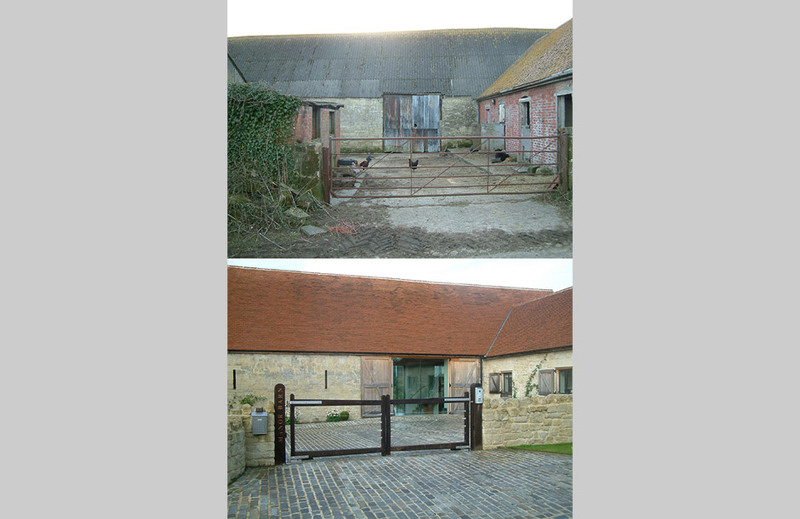 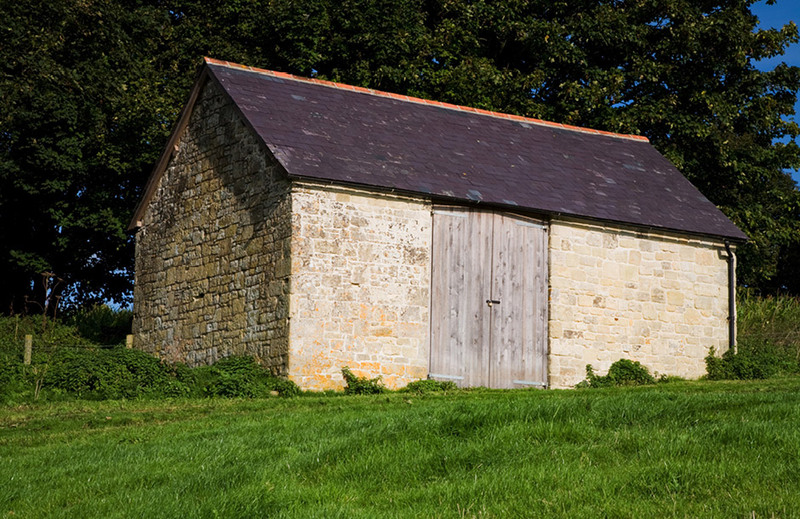 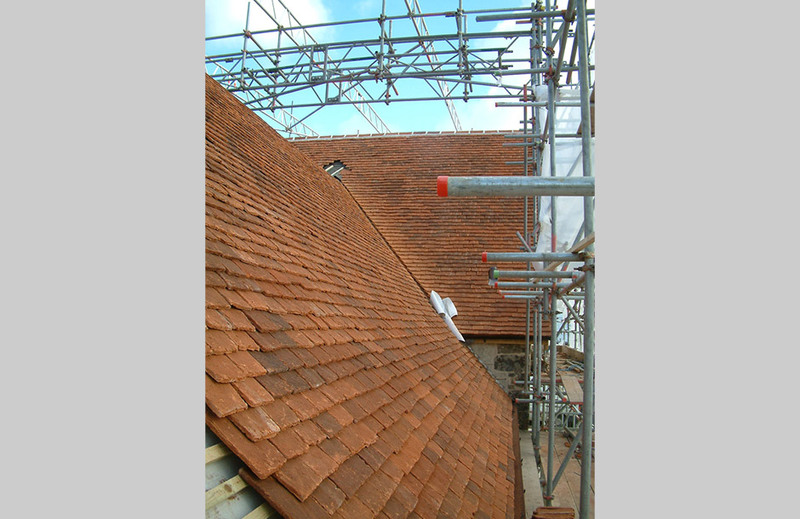 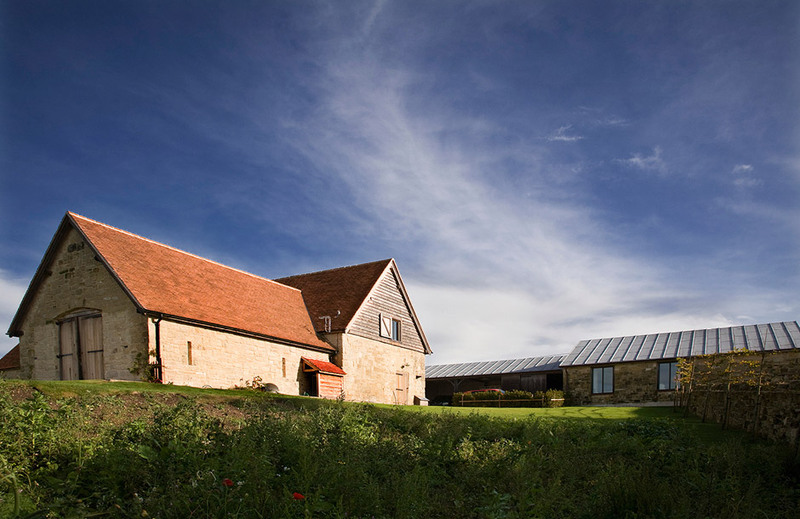 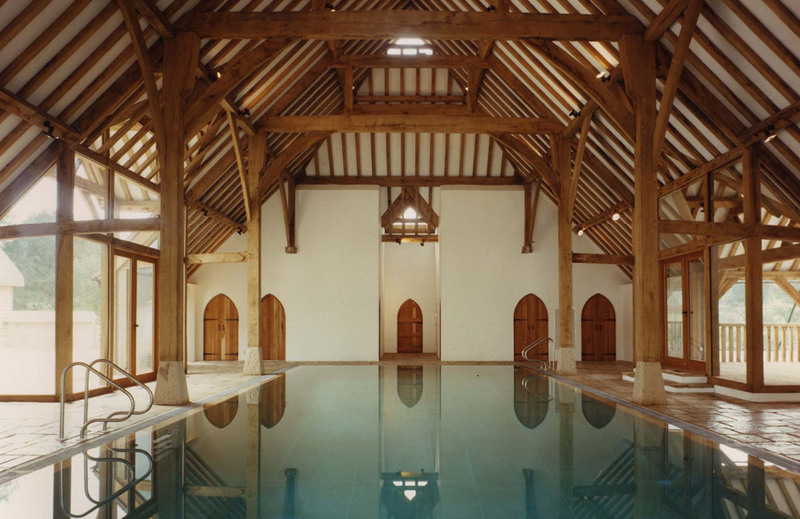 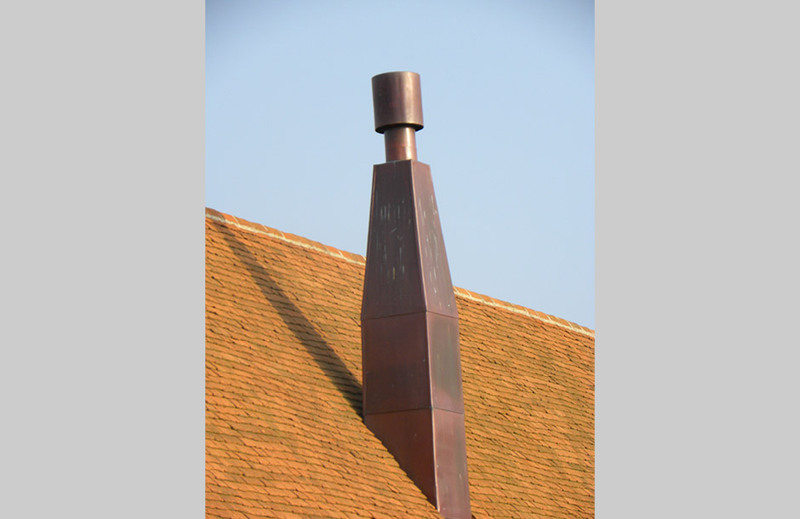 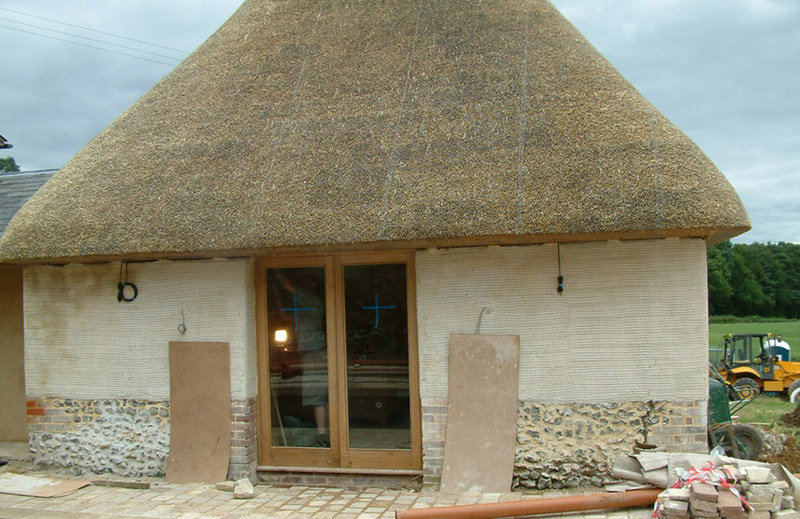 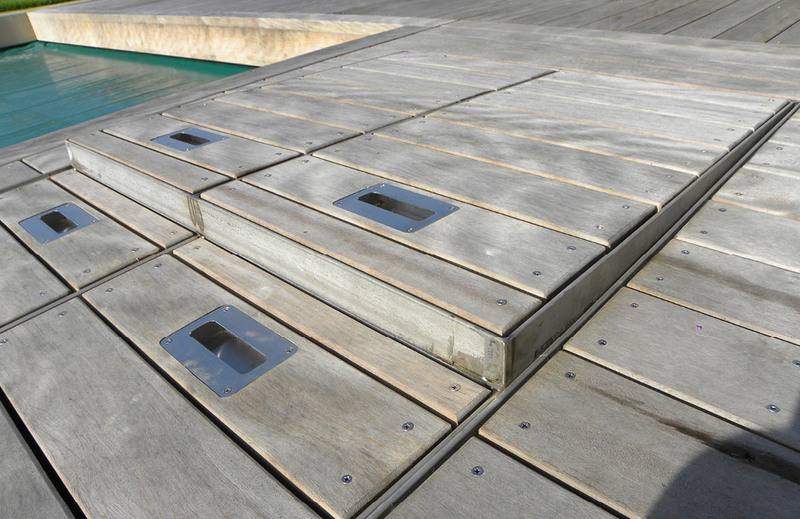 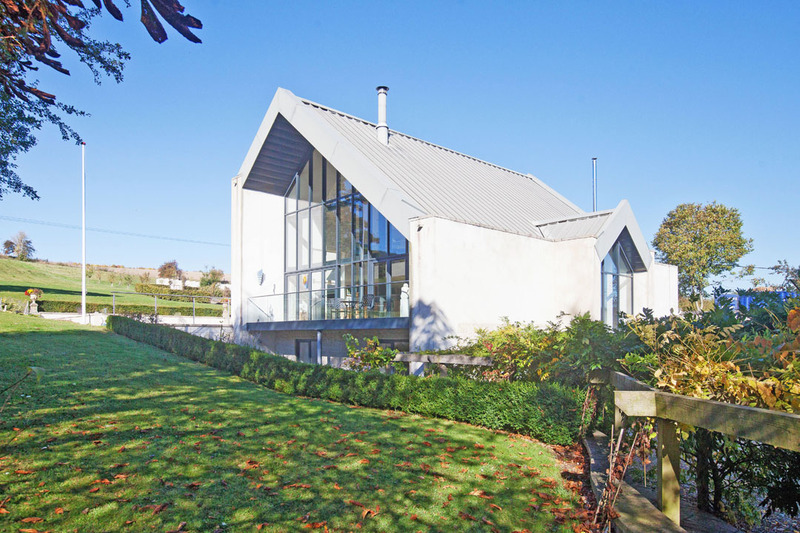 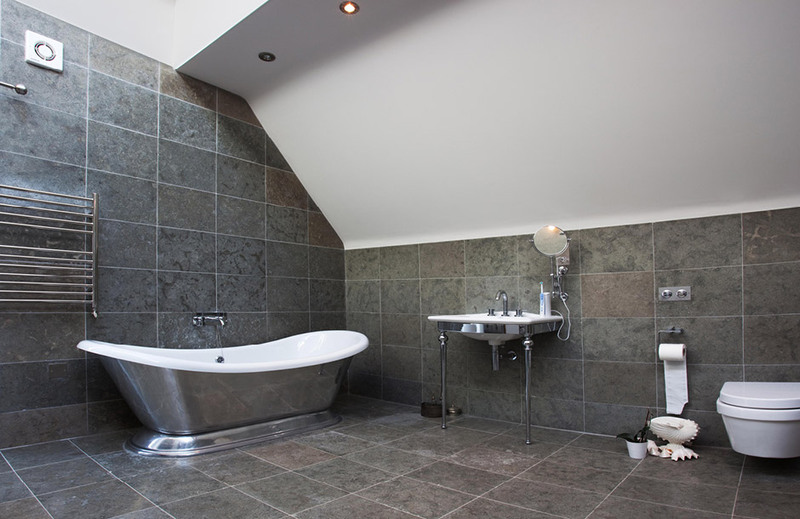 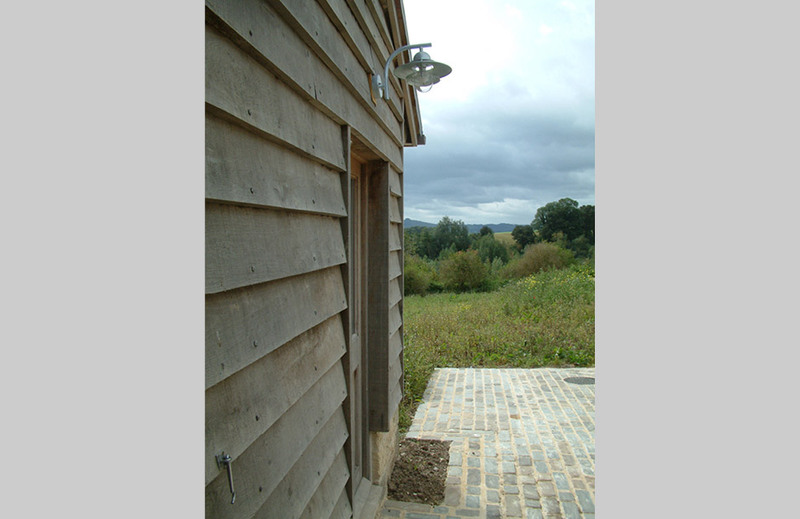 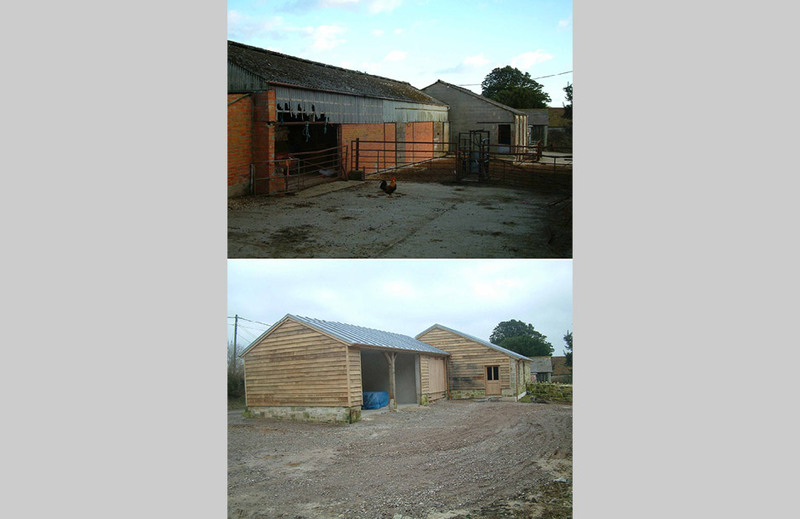 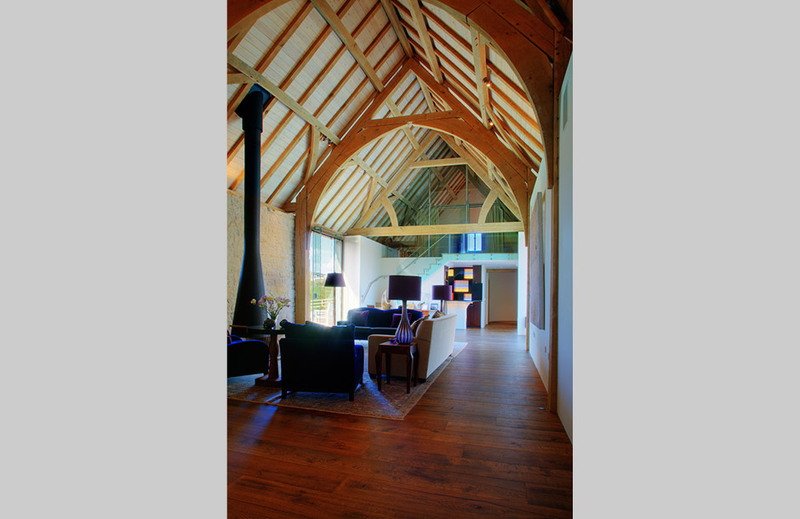 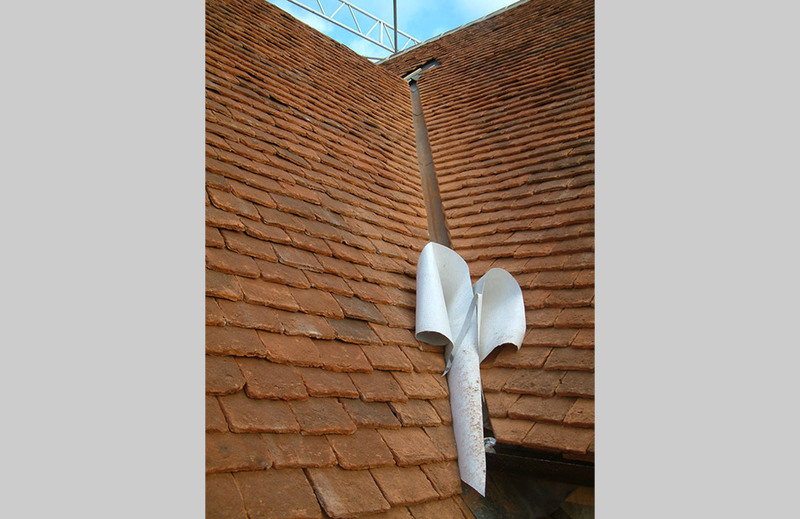 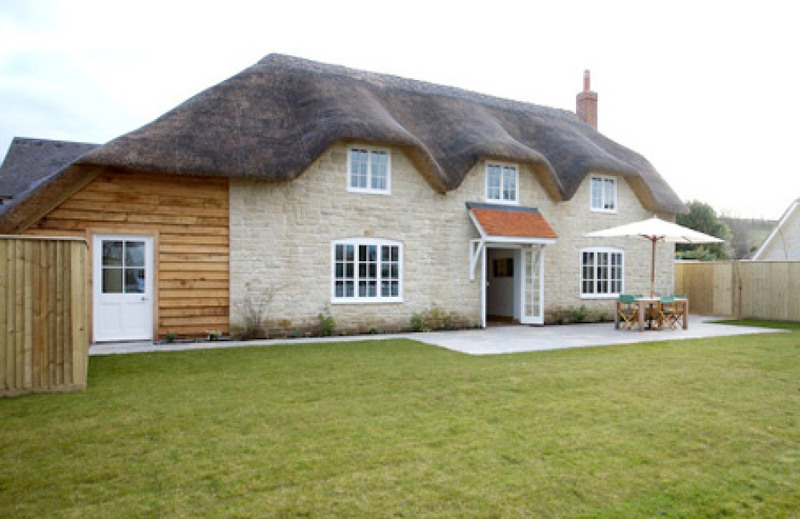 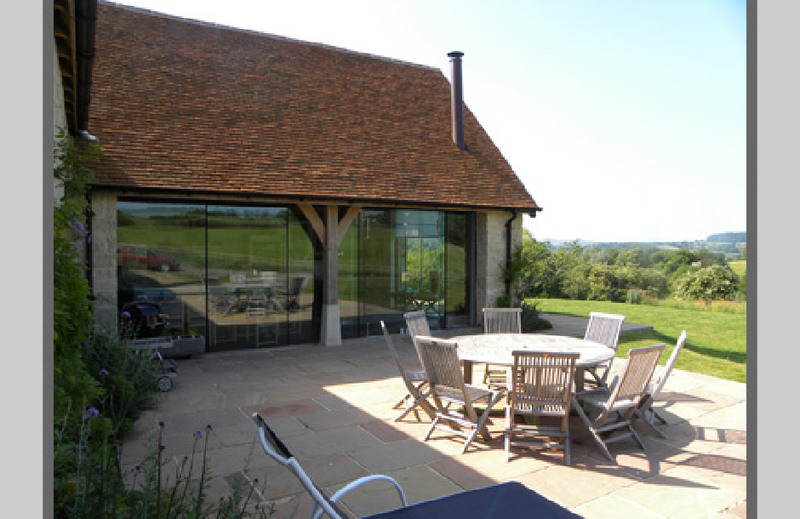 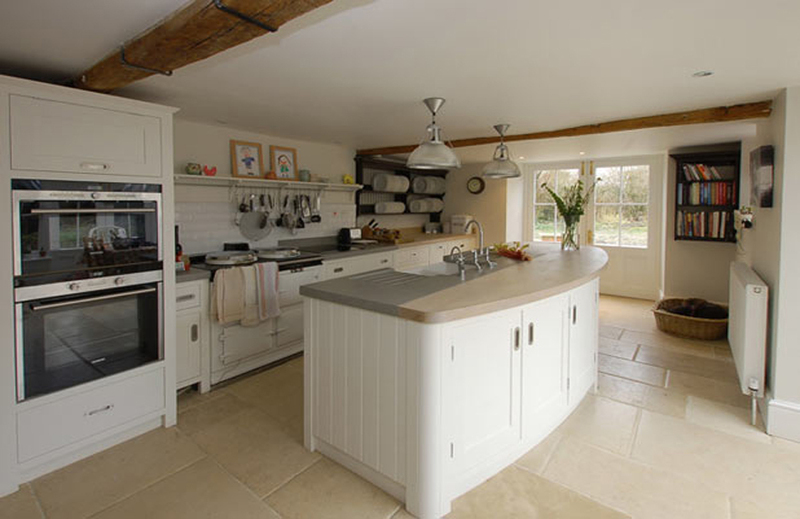 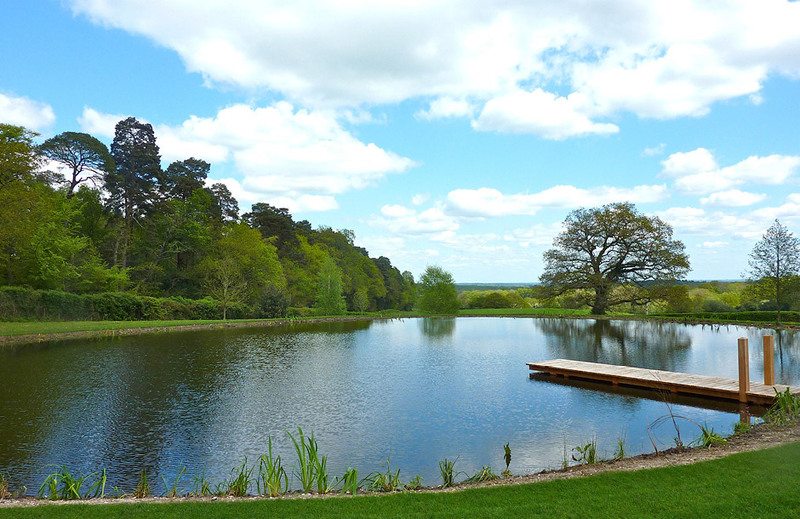 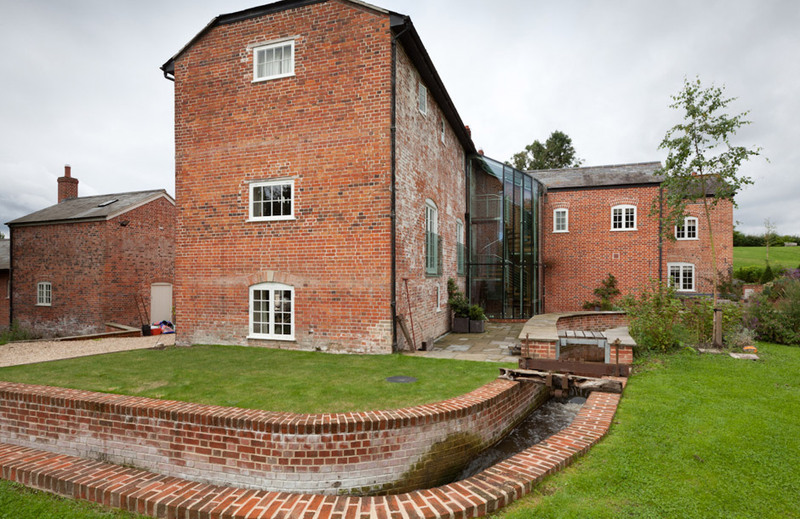 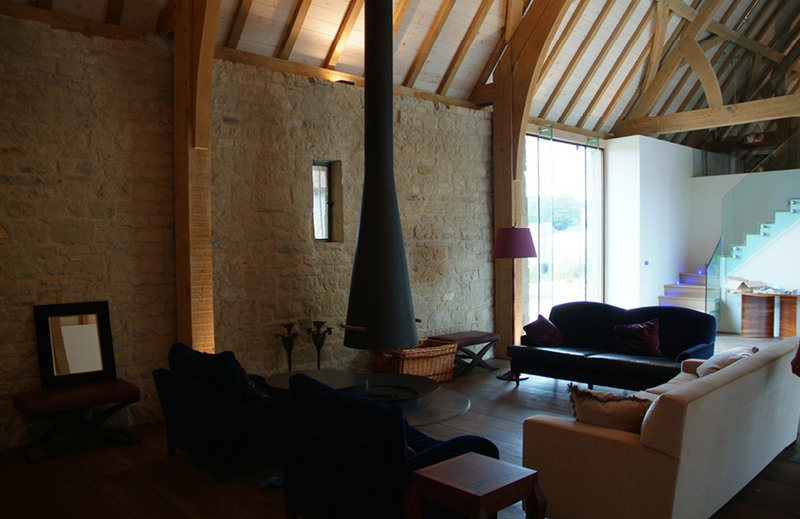 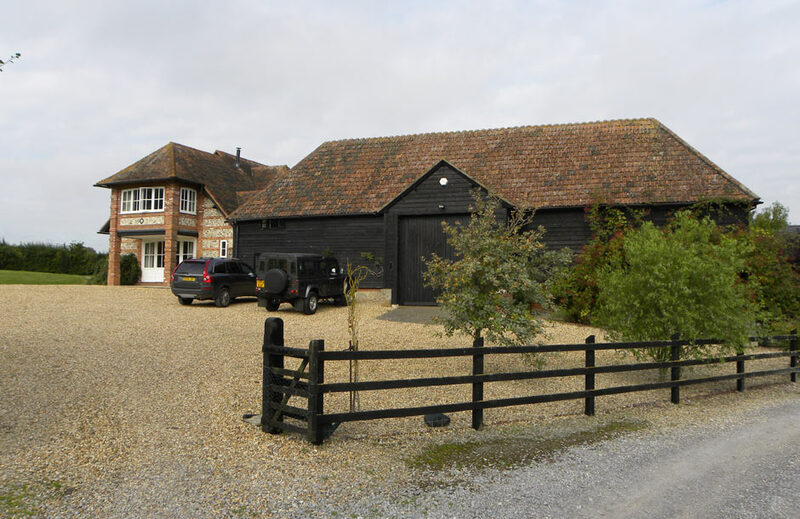 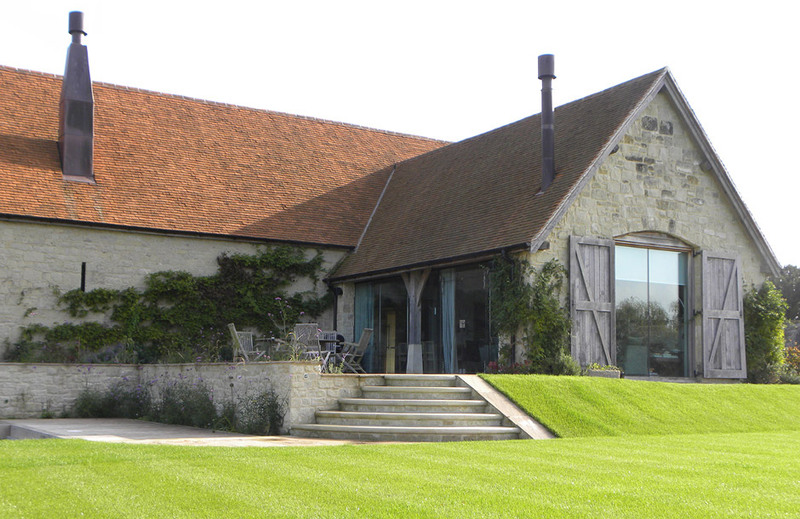 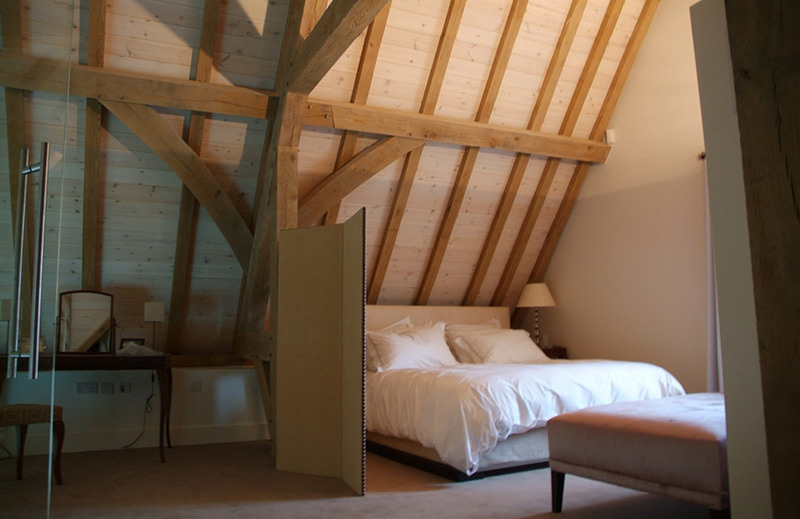 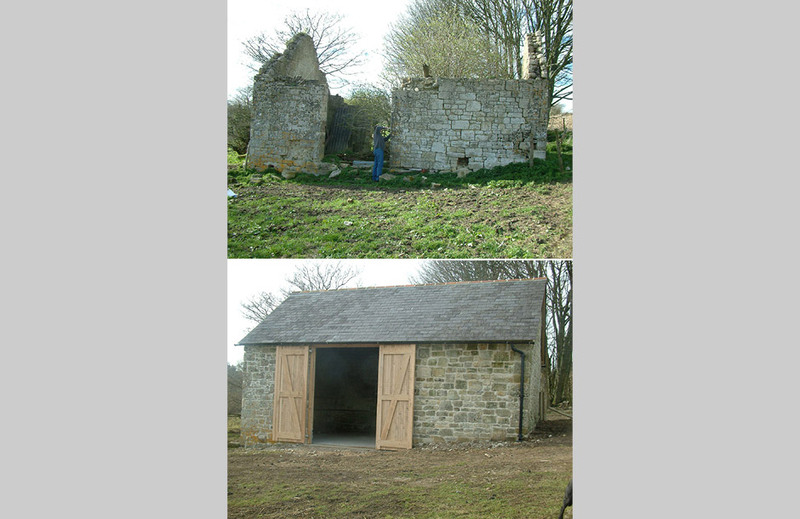 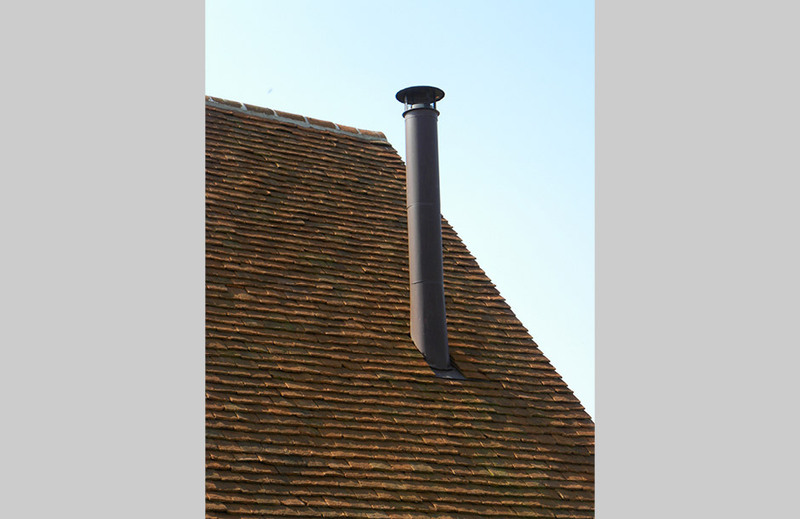 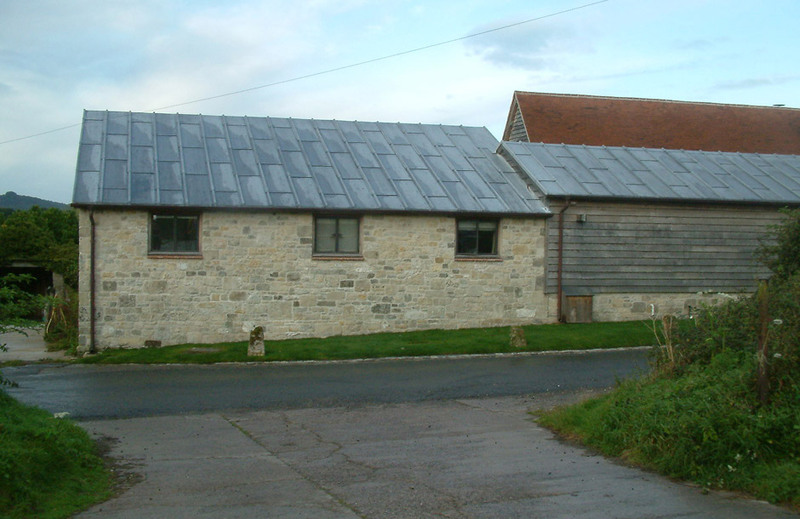 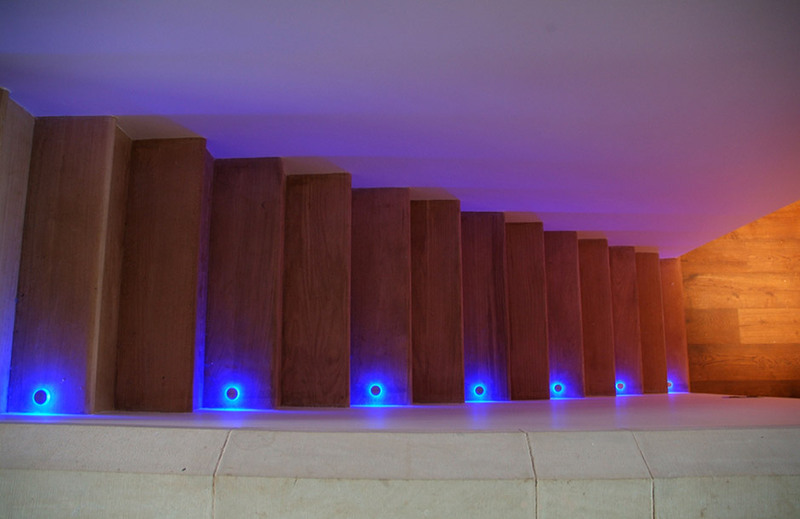 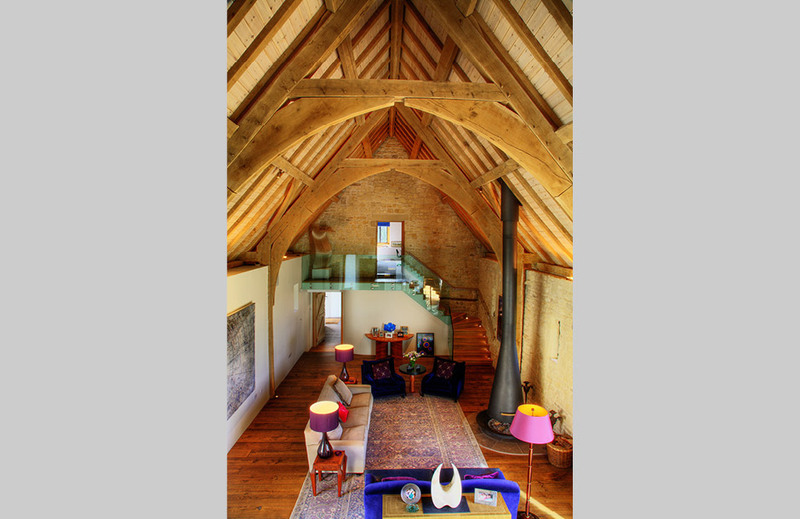 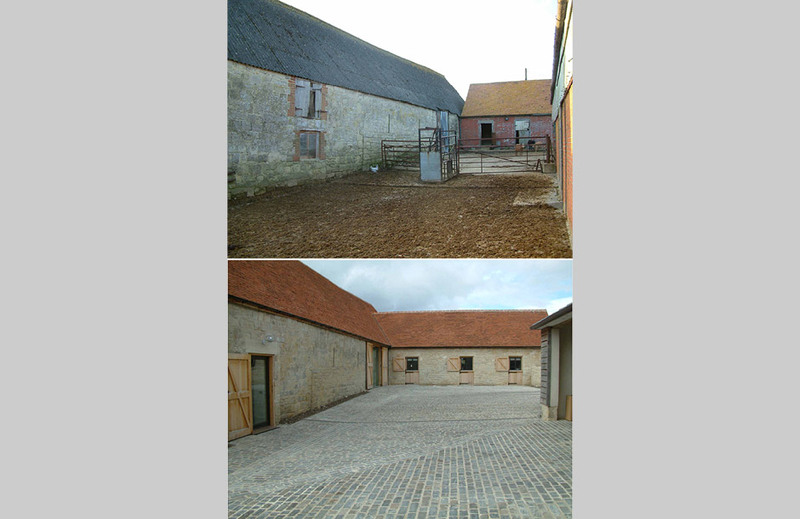 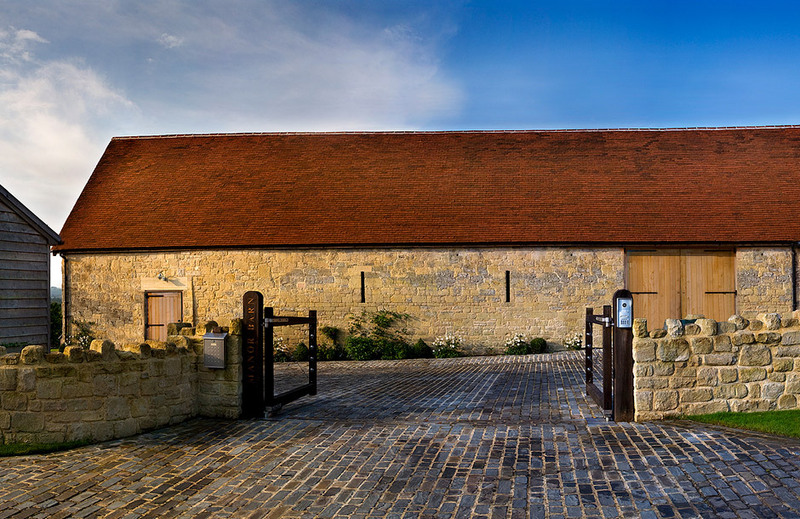 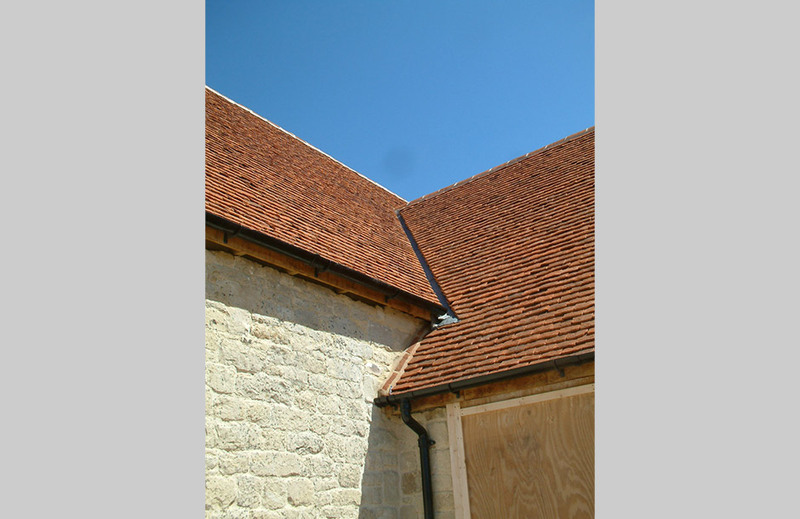 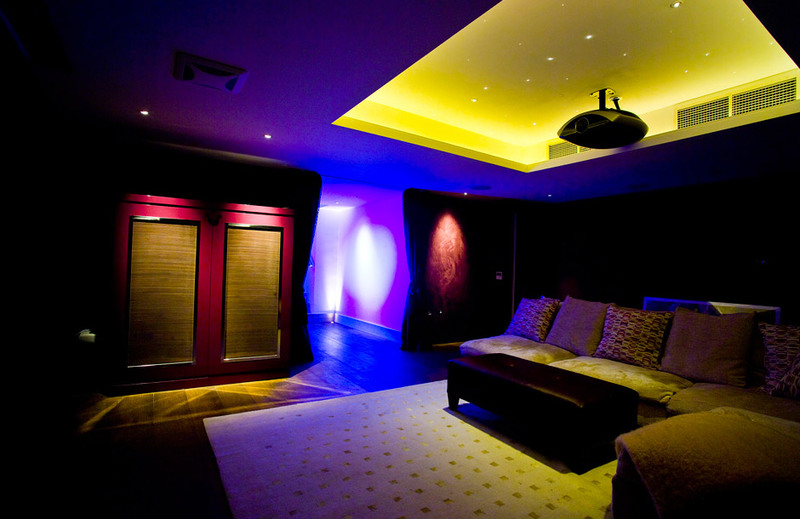 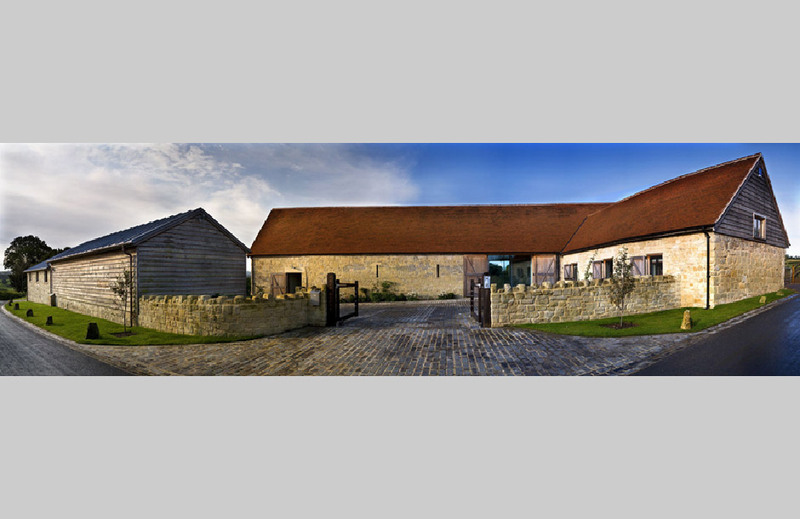 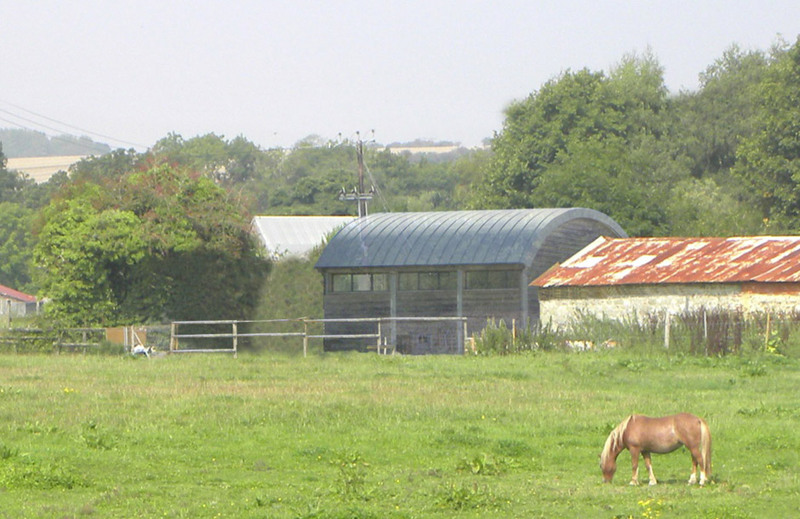 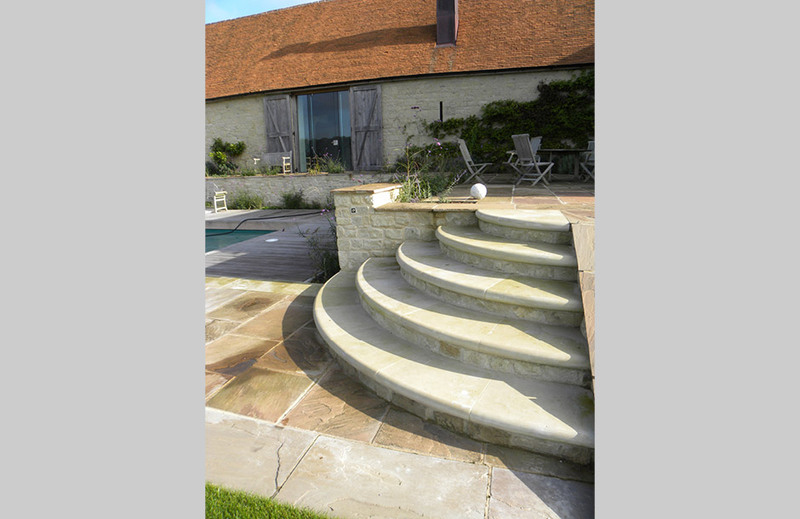 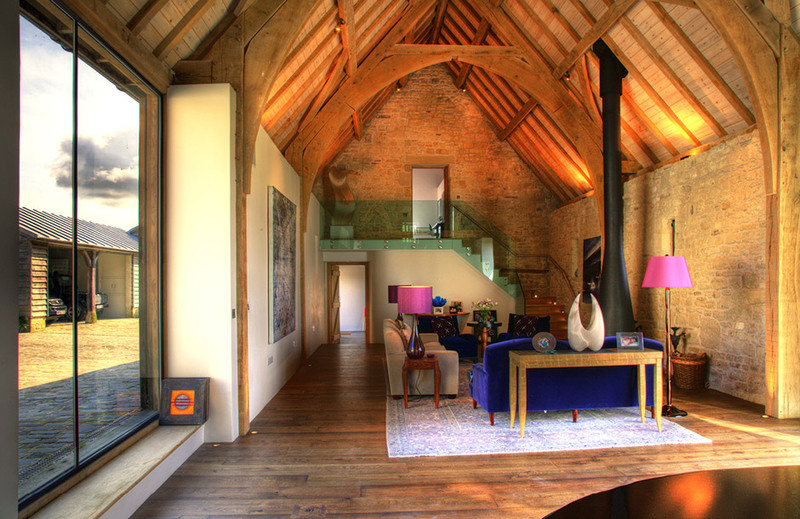 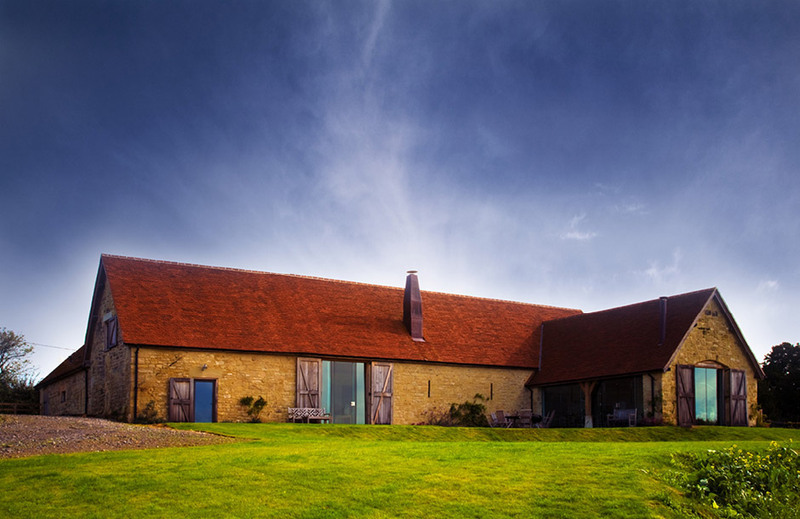 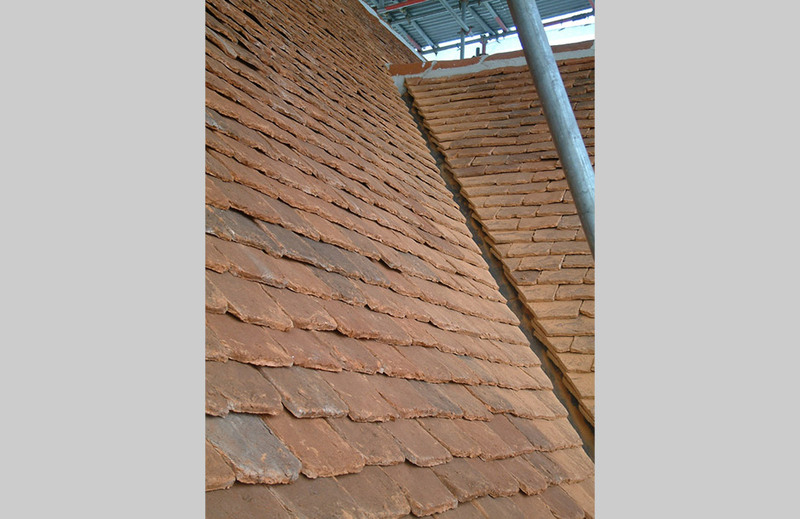 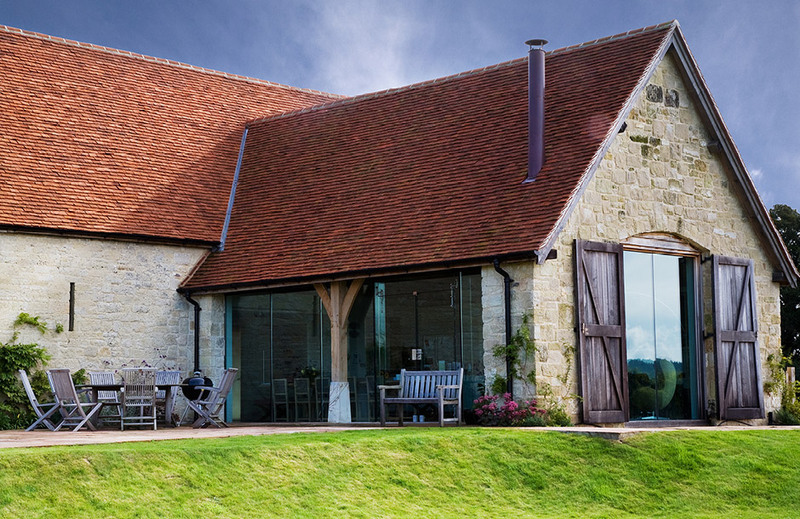 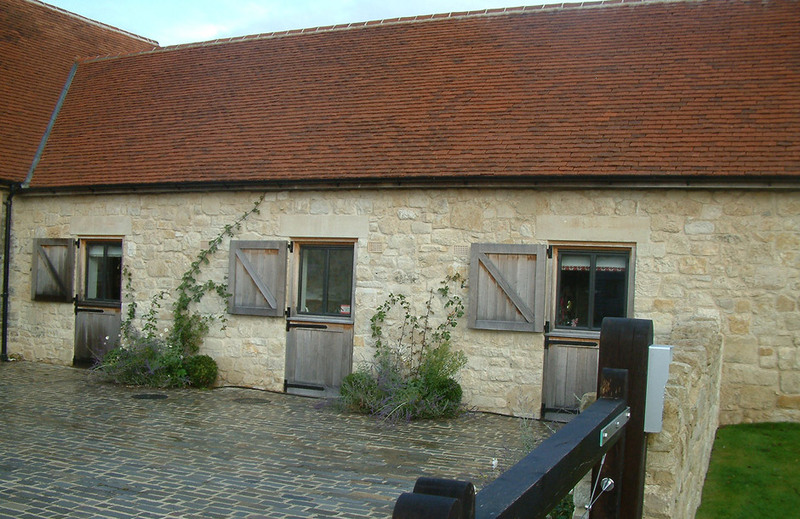 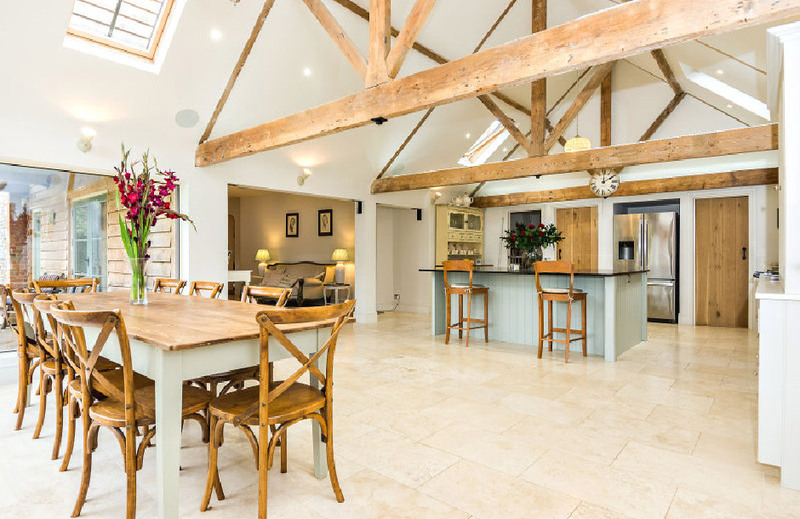 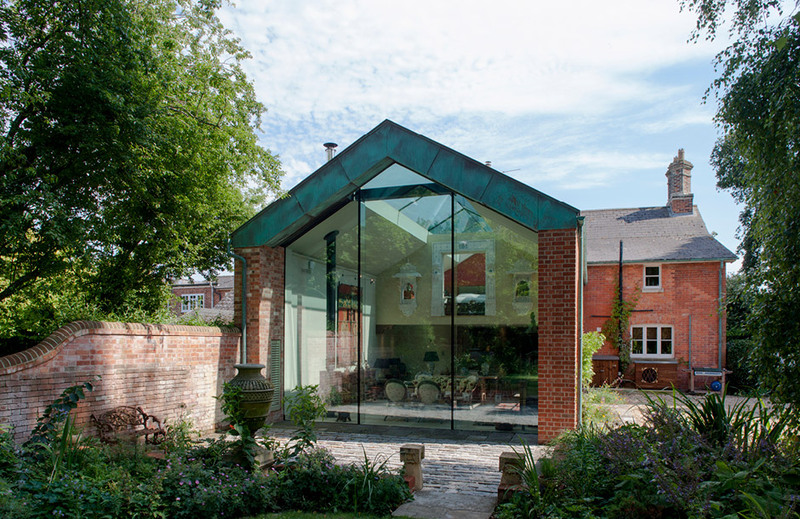 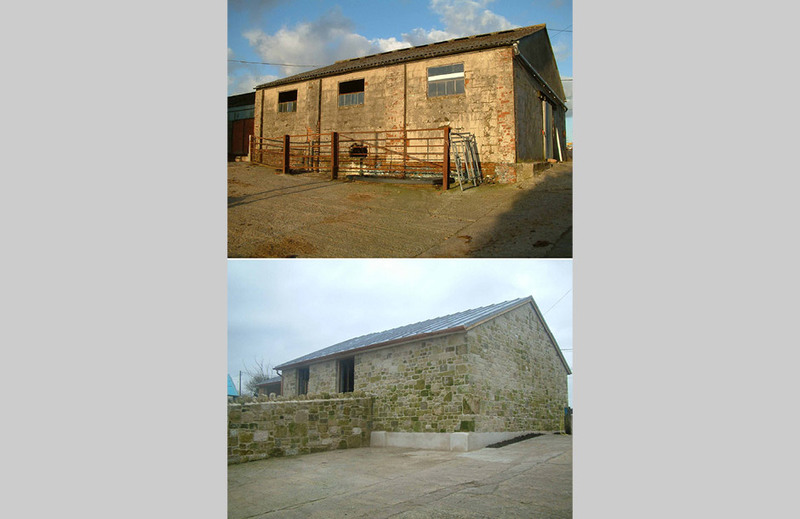 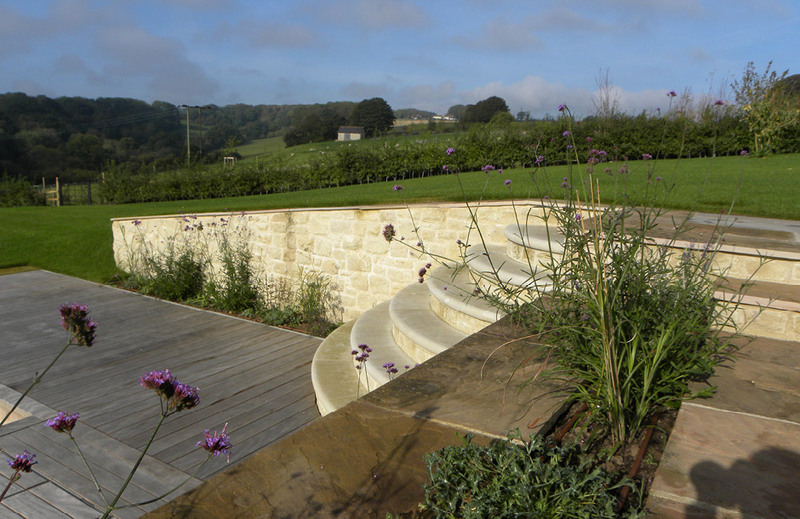 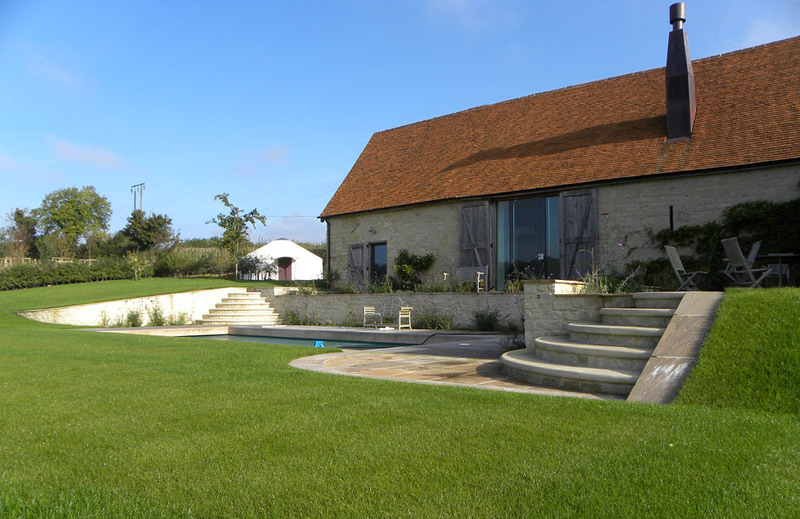 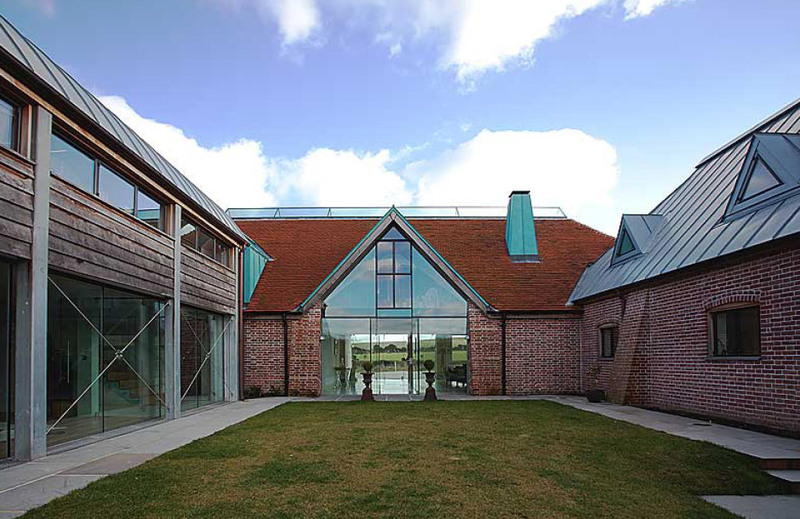 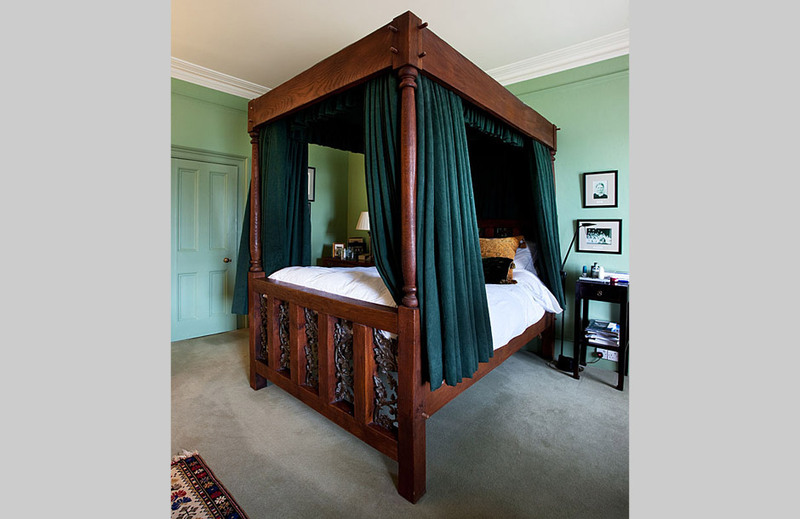 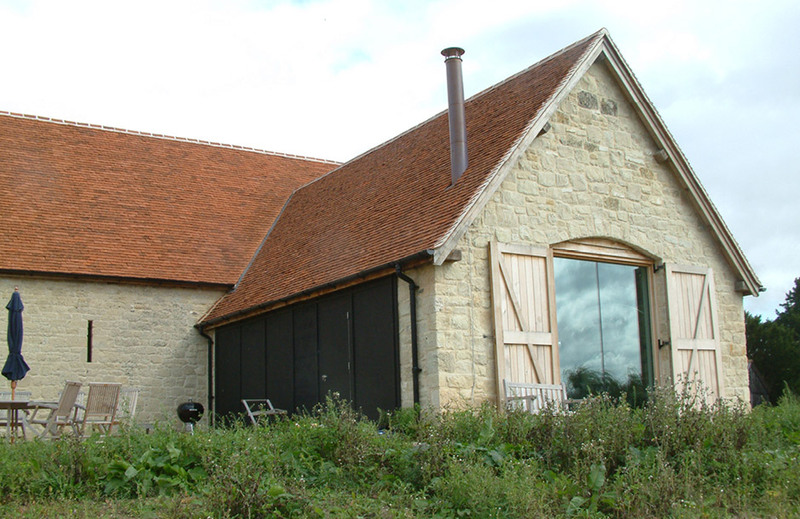 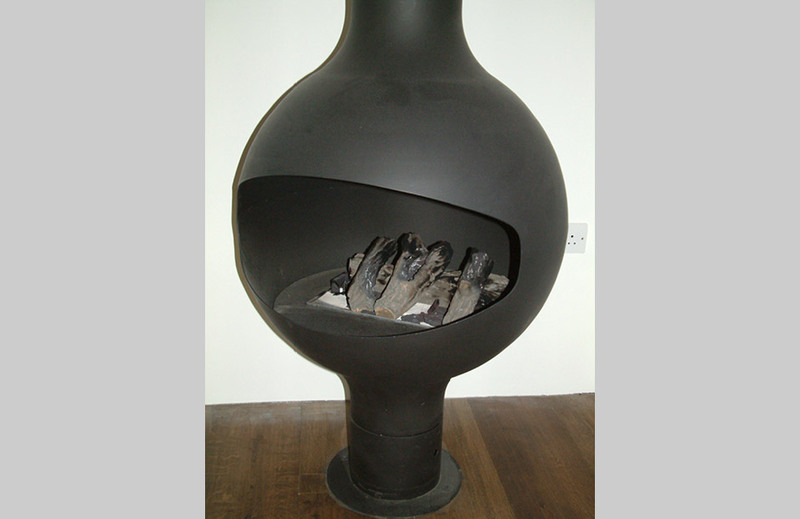 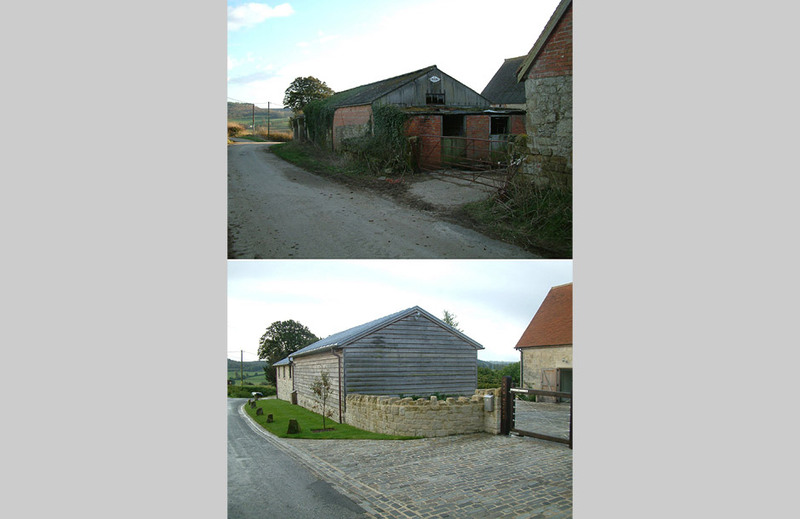 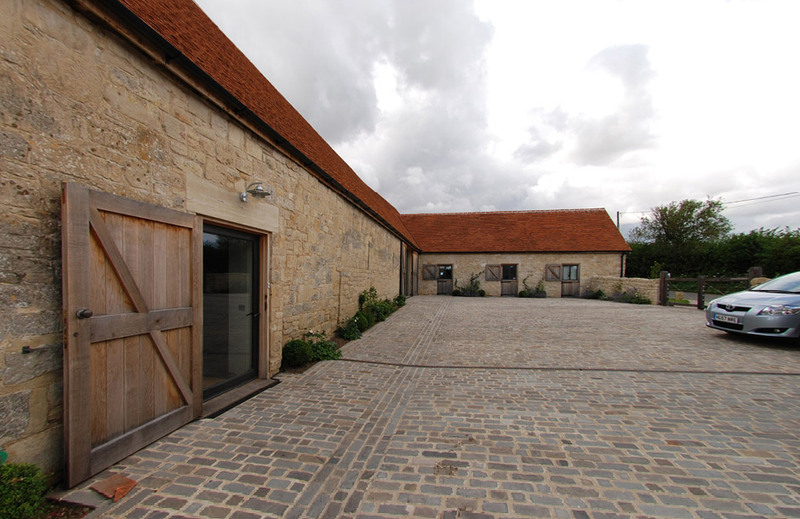 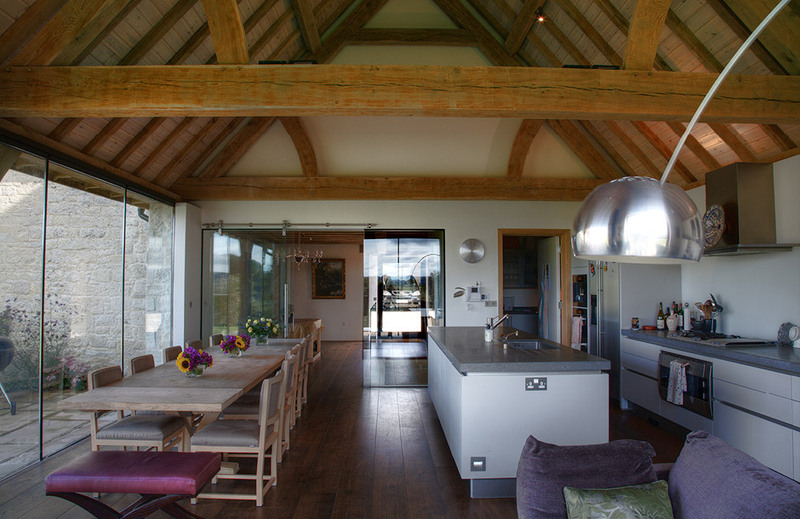 Finalist in the best conversion category of the 2009 Grand Designs Awards, Manor Barn epitomises creative re-use of an historic farm building. 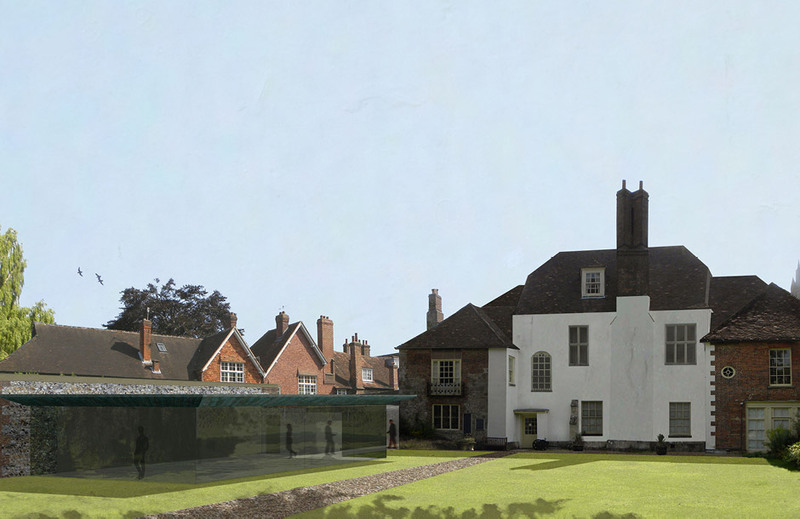 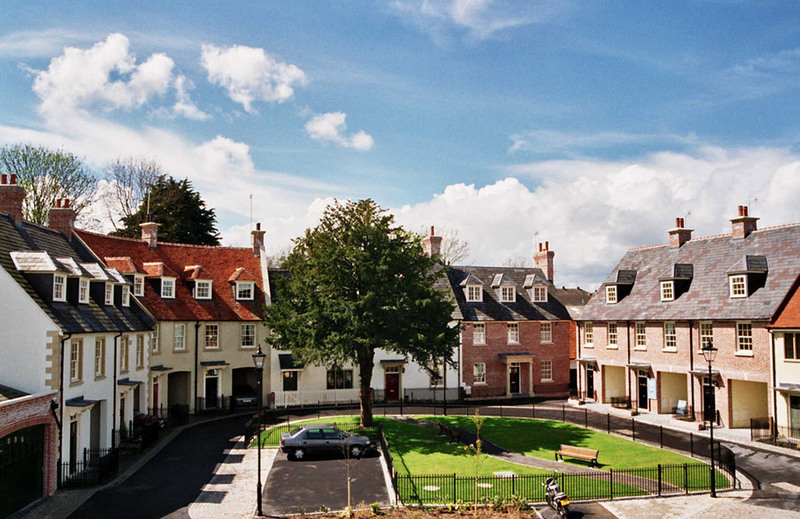 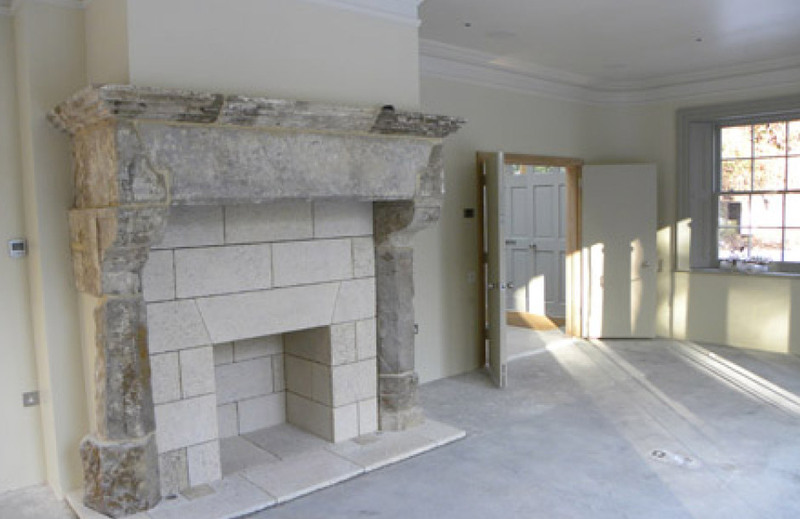 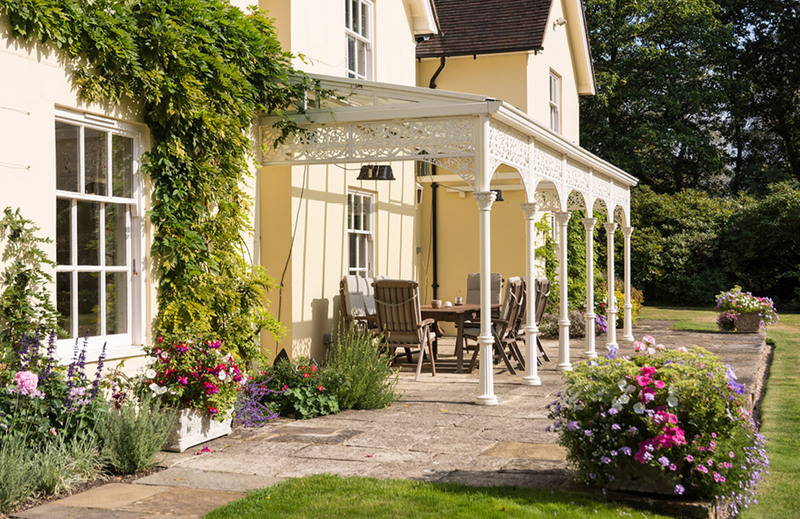 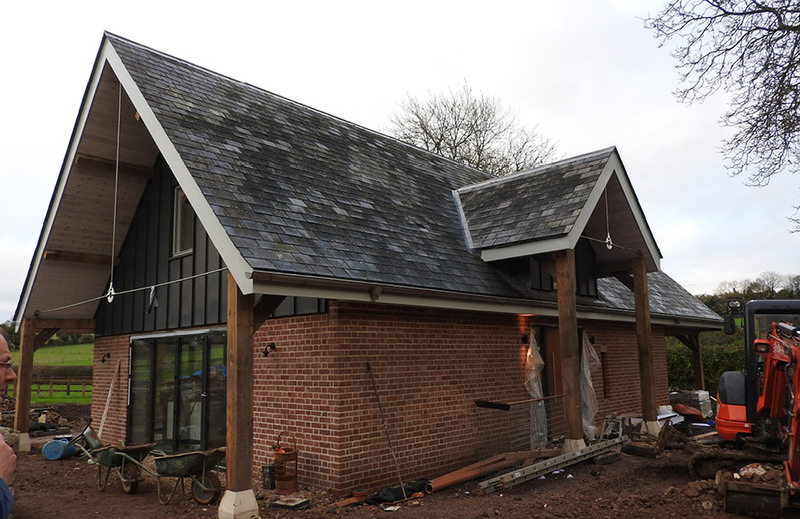 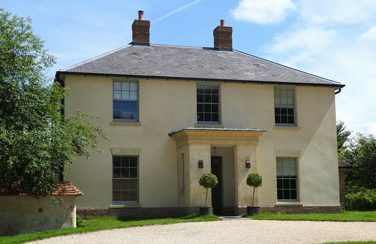 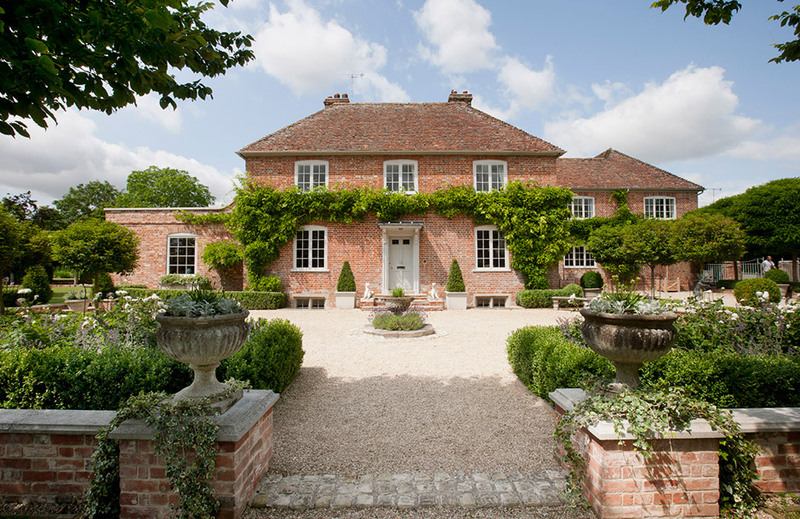 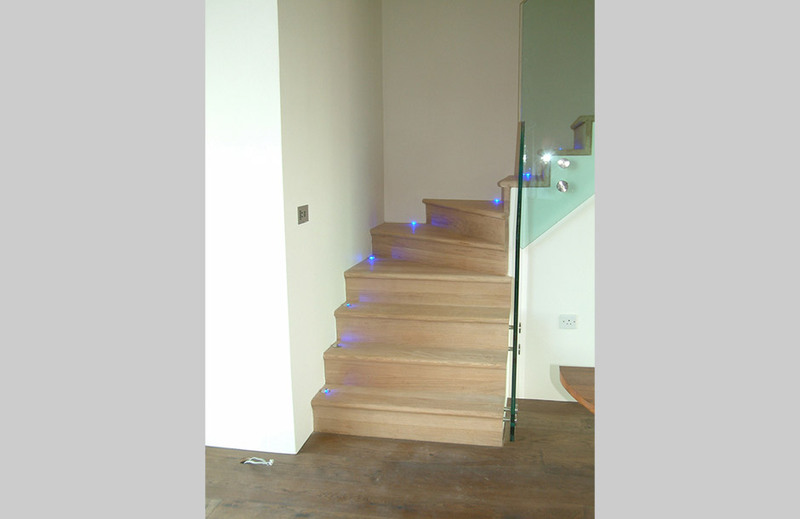 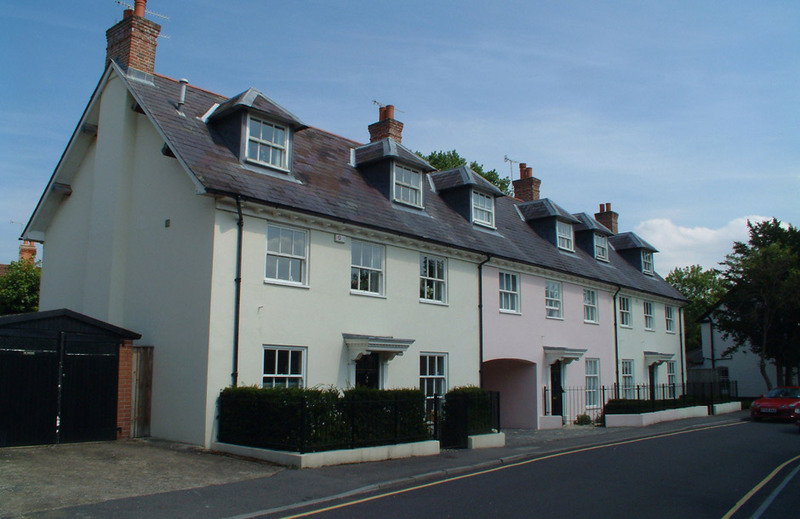 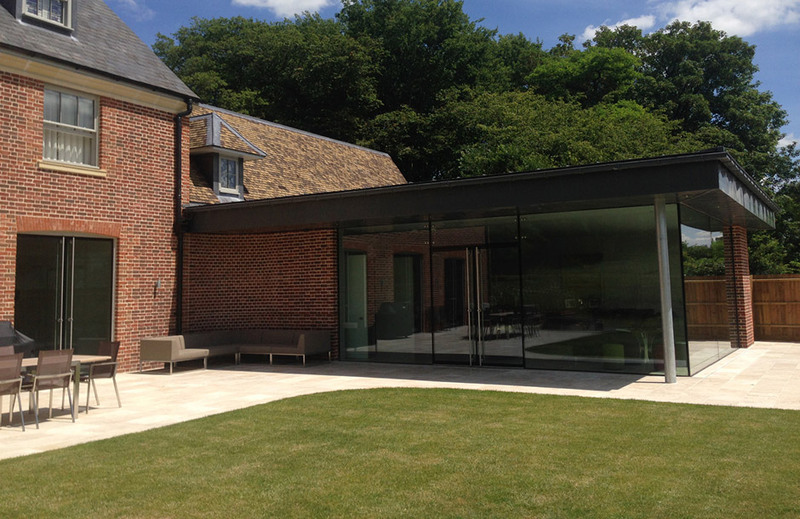 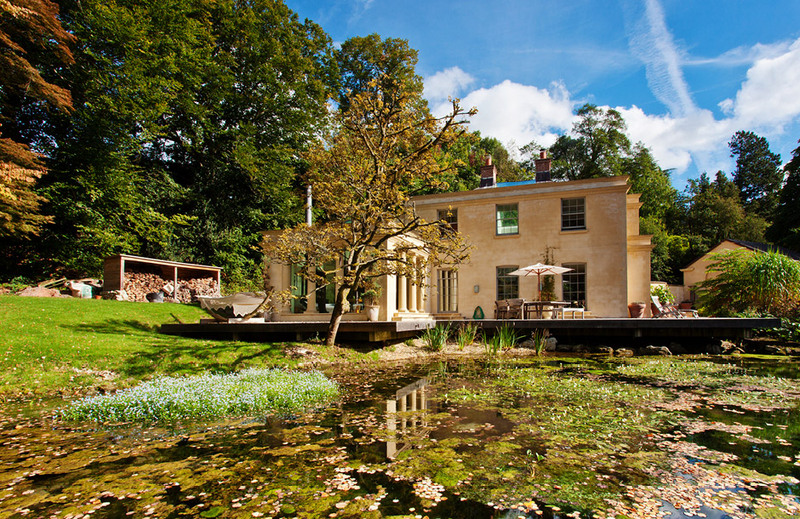 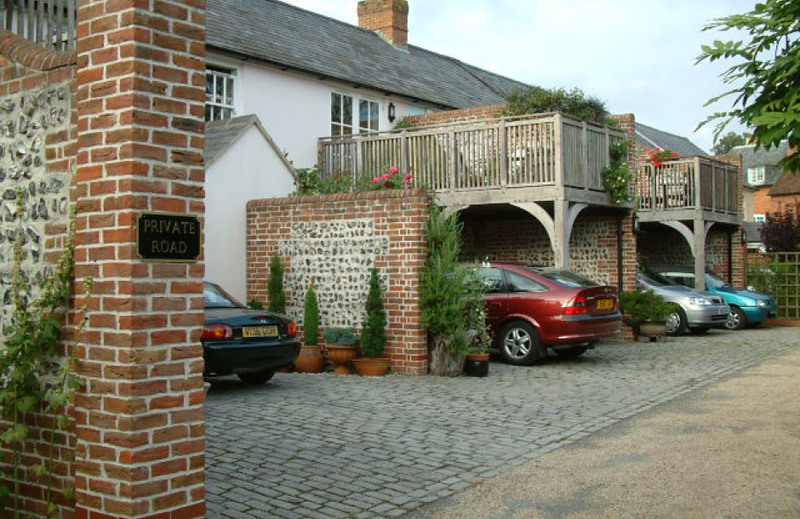 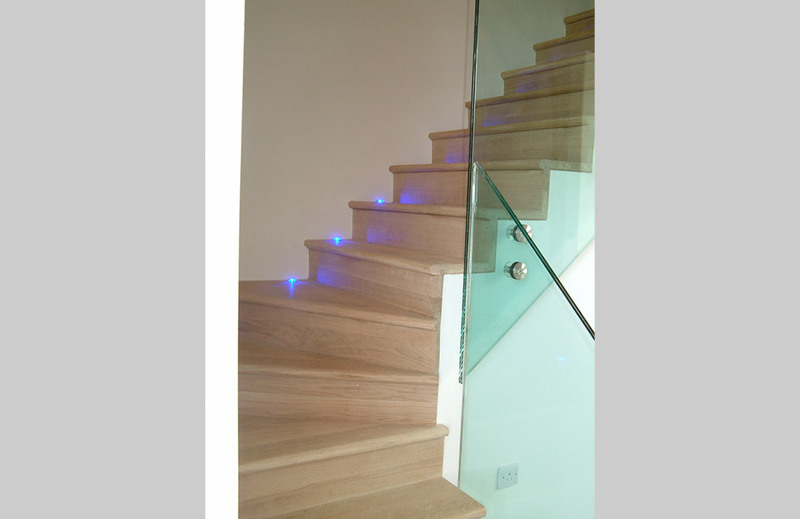 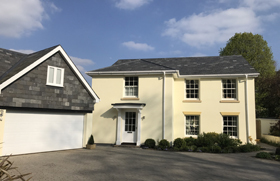 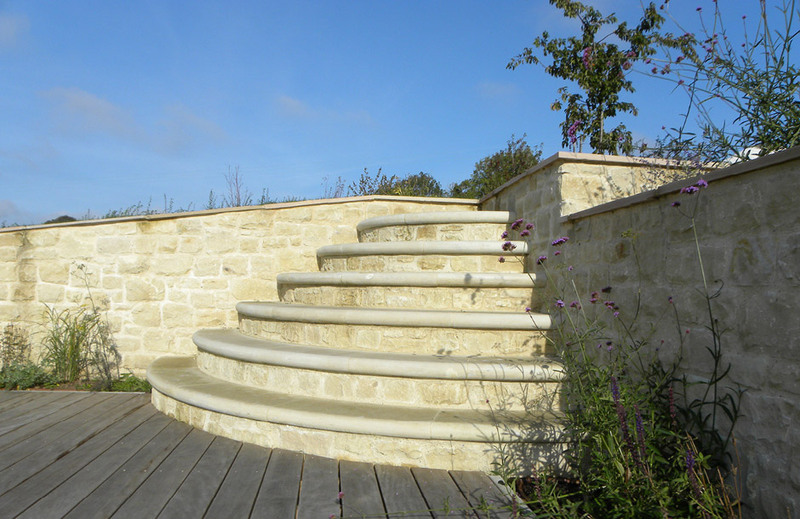 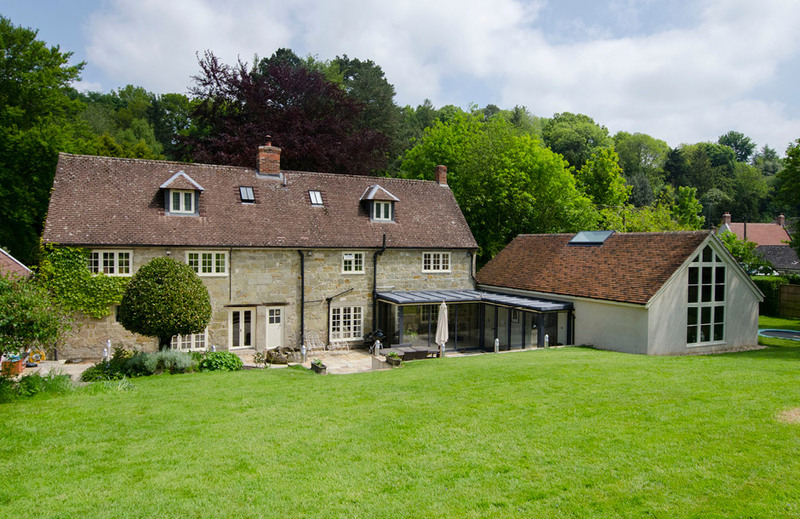 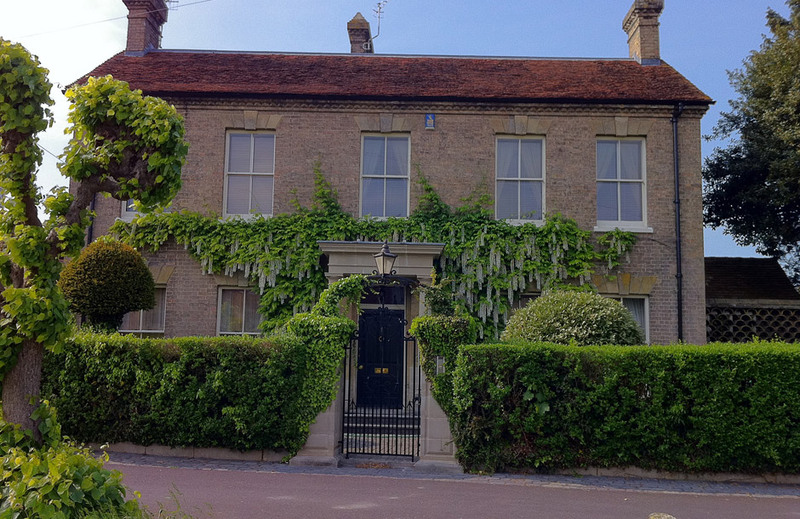 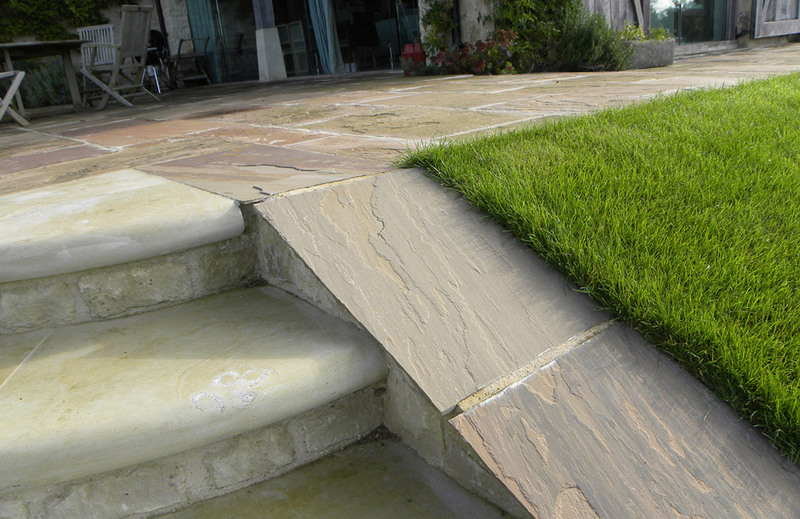 Crude alterations have been reversed and stone elevations repaired to produce an exciting contemporary house within this Grade II-listed structure. 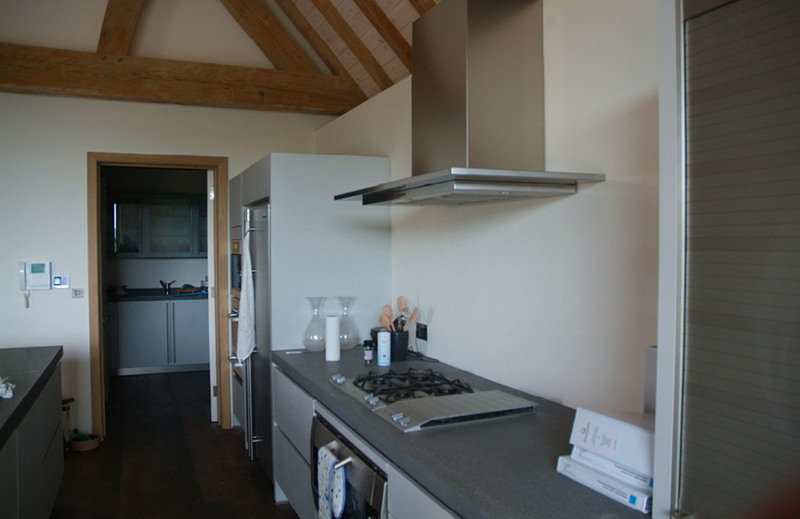 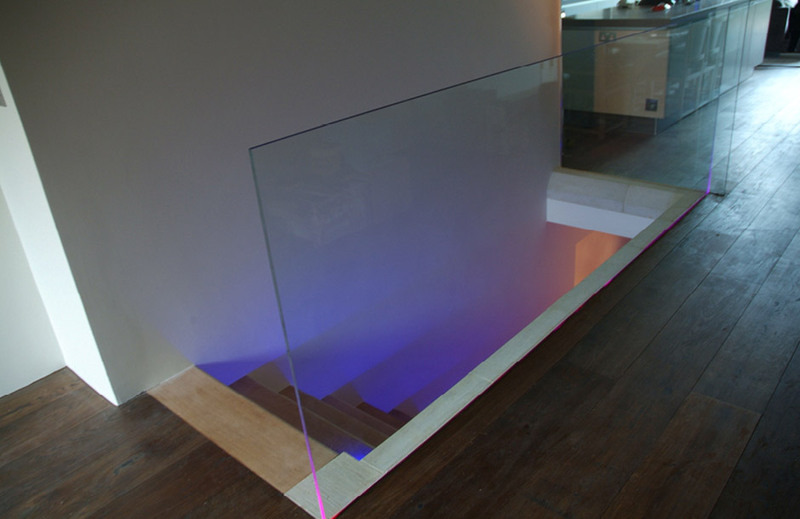 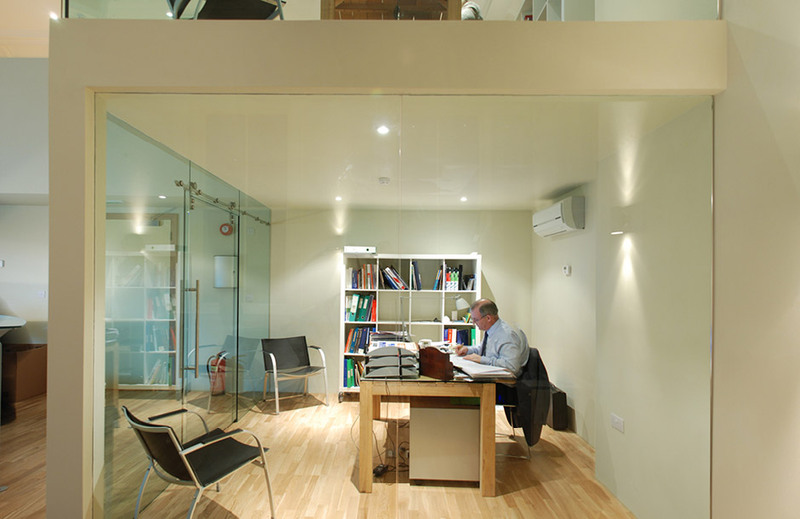 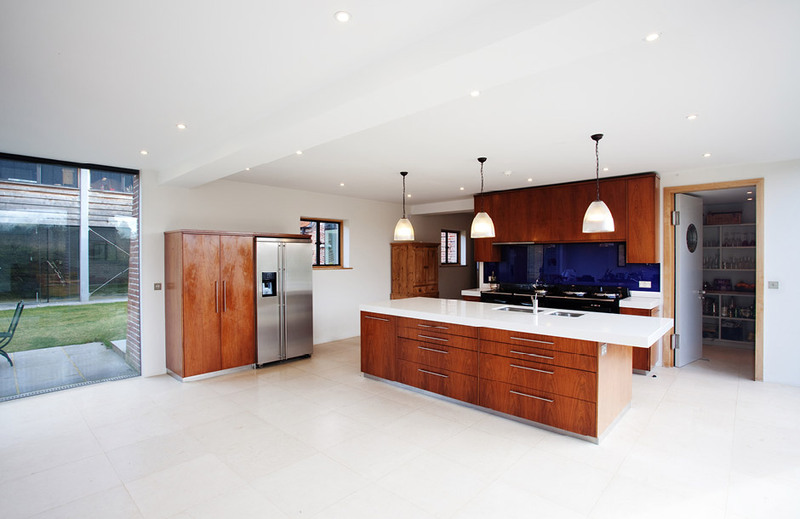 To the south, an extension provides a spacious family room/kitchen. 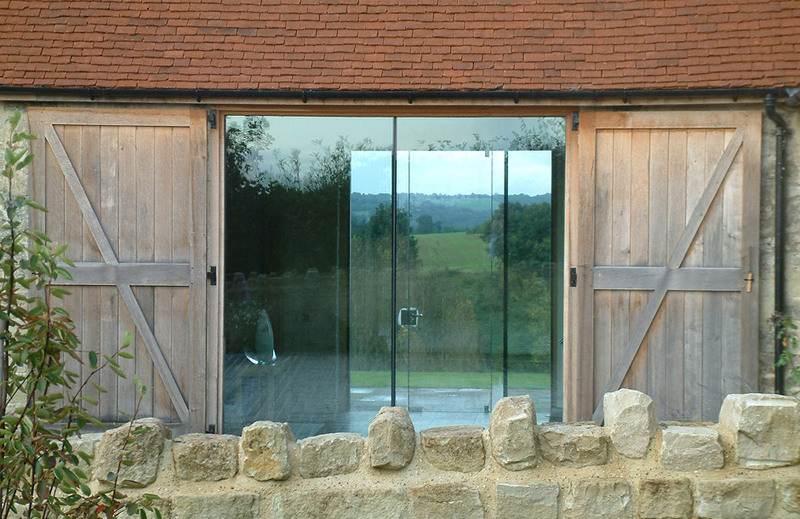 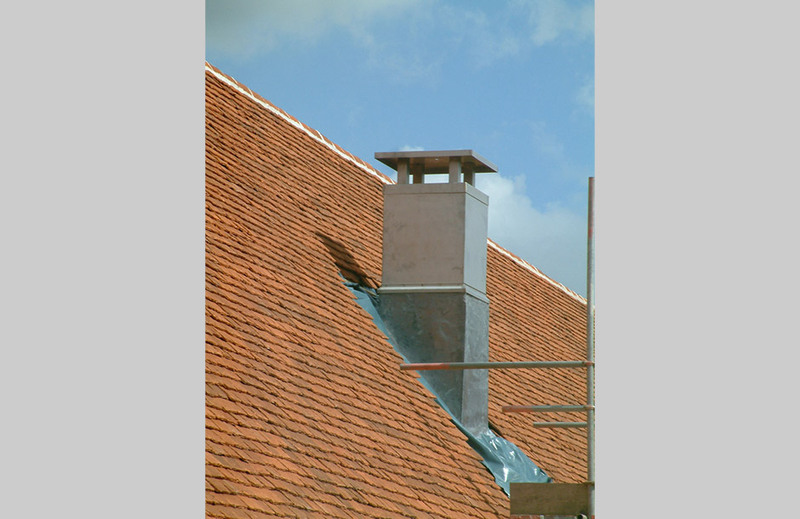 Large glazed openings give spectacular views from the elevated site. 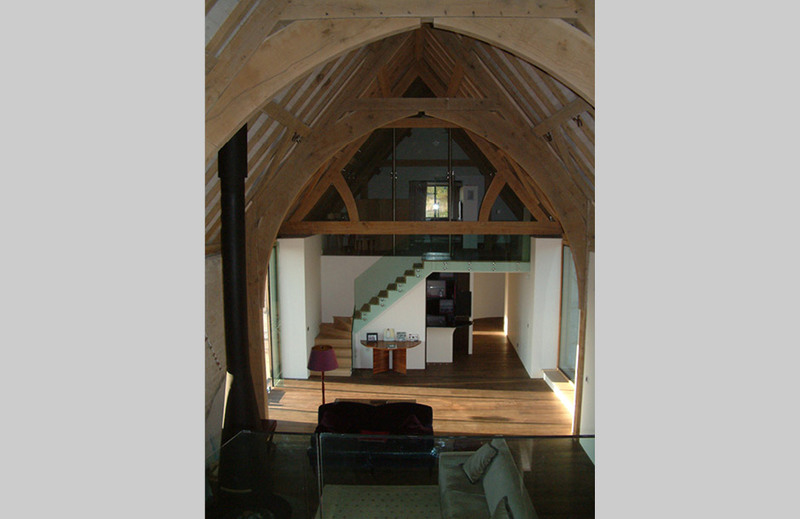 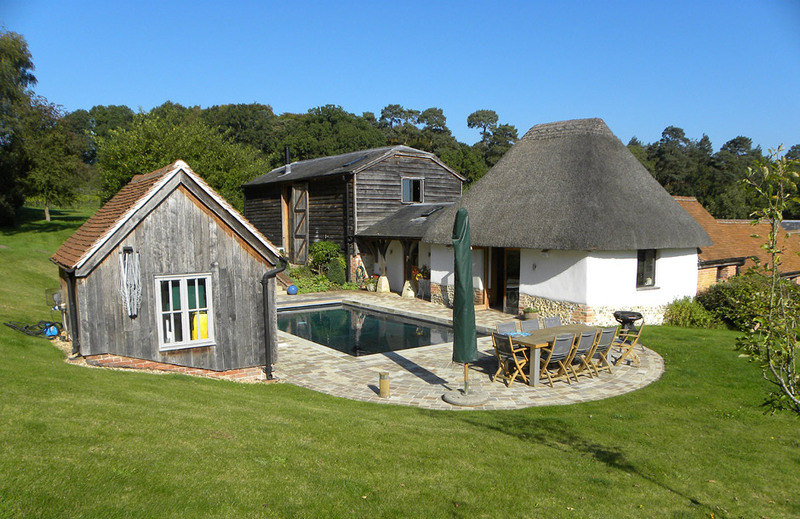 The main barn volume is largely retained to form a double-height living room, and below, the basement accommodates a cinema. 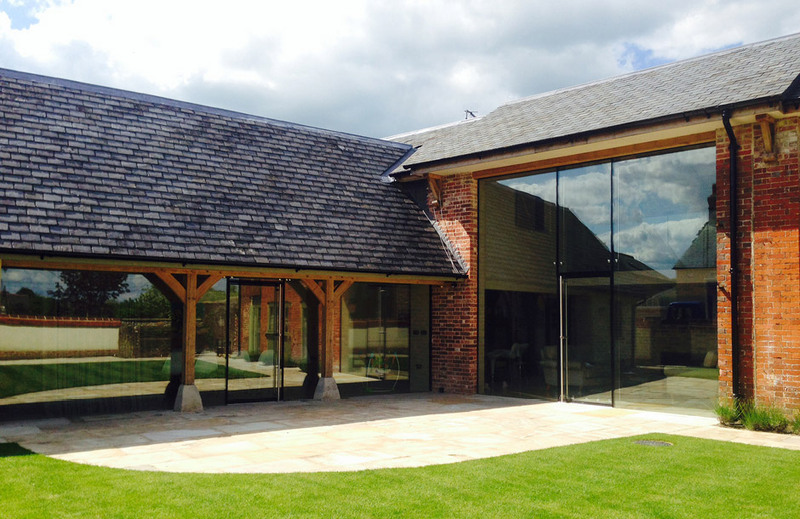 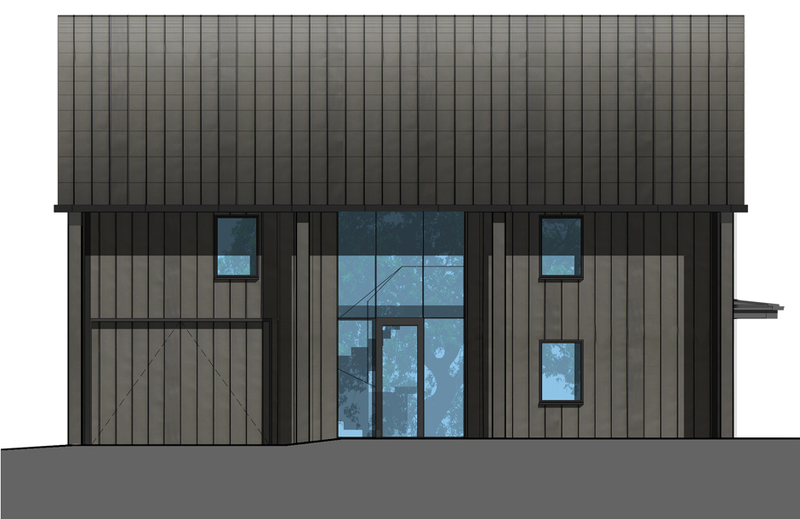 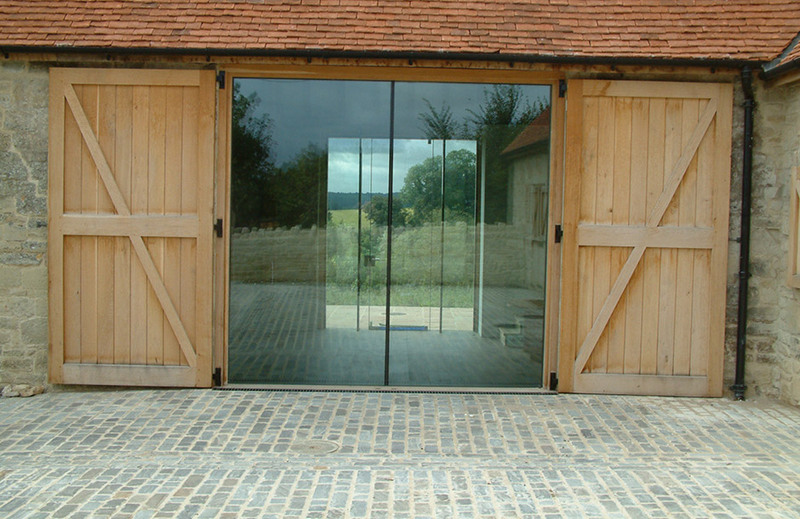 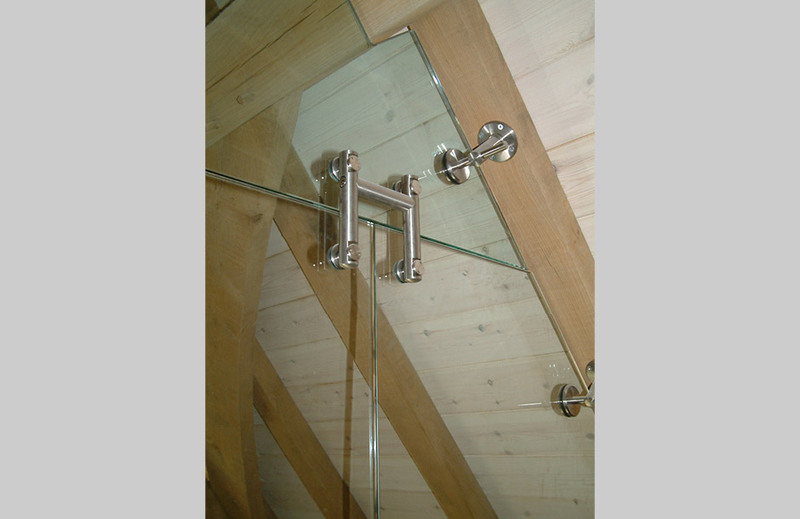 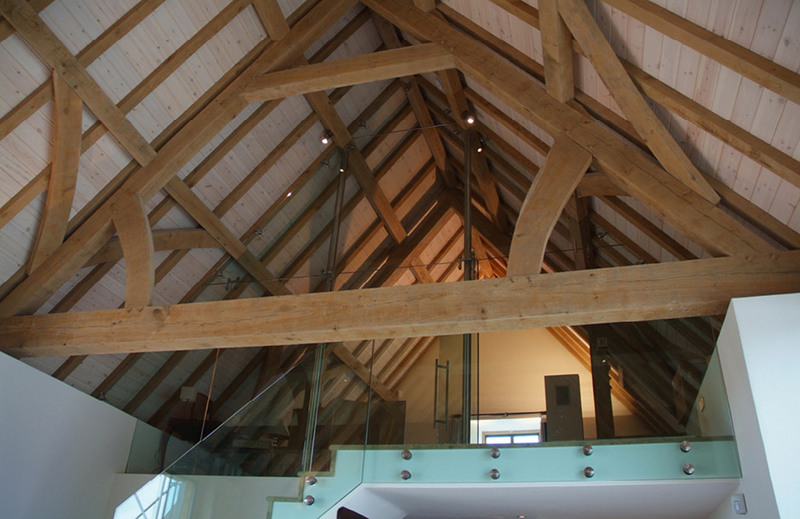 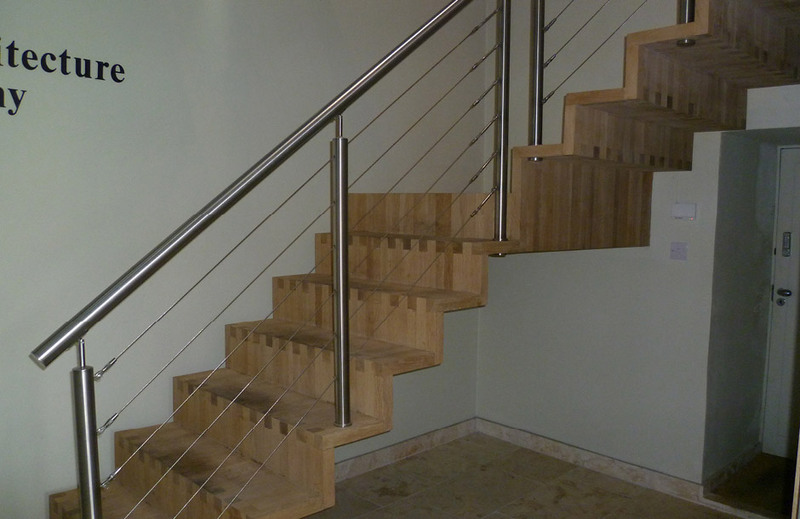 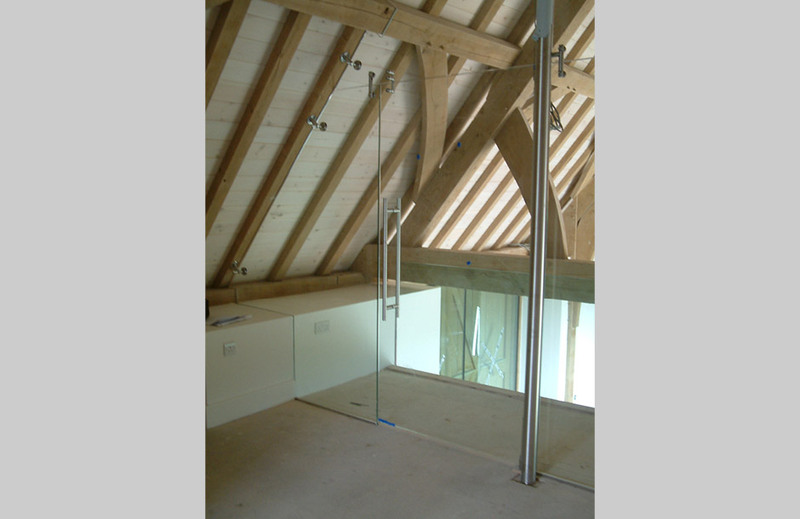 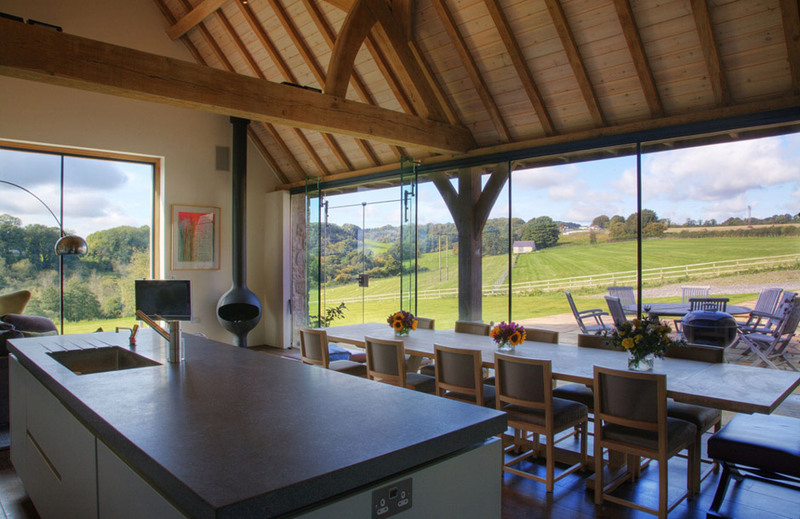 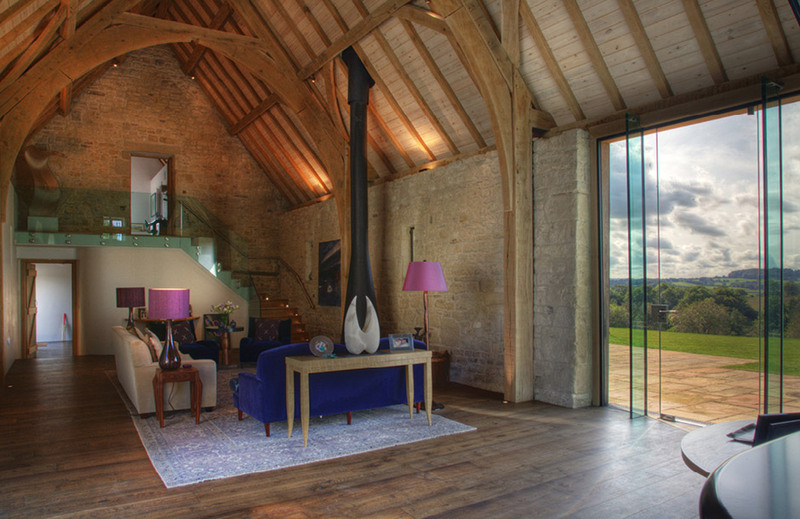 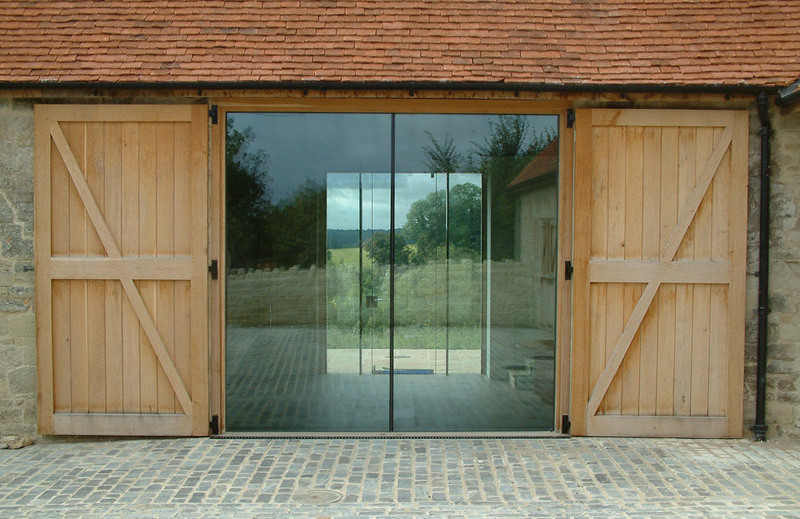 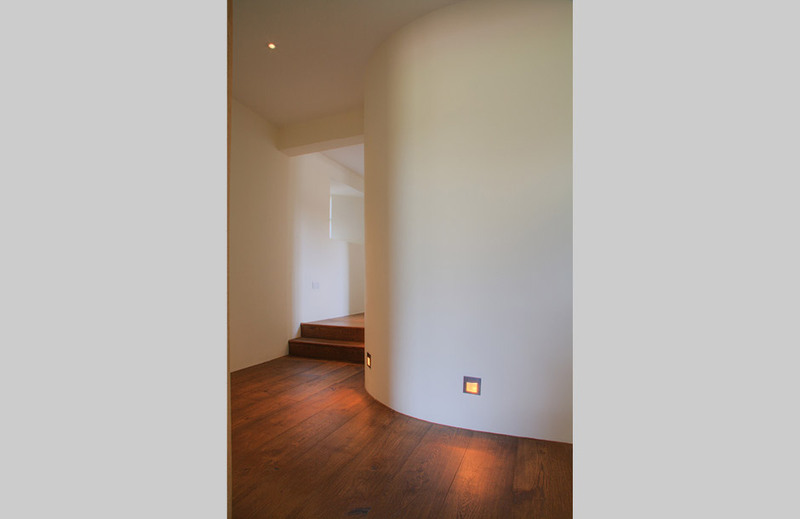 With features such as glass balustrading and curved walls, the modern interior creates a striking juxtaposition with the barn’s historic shell.